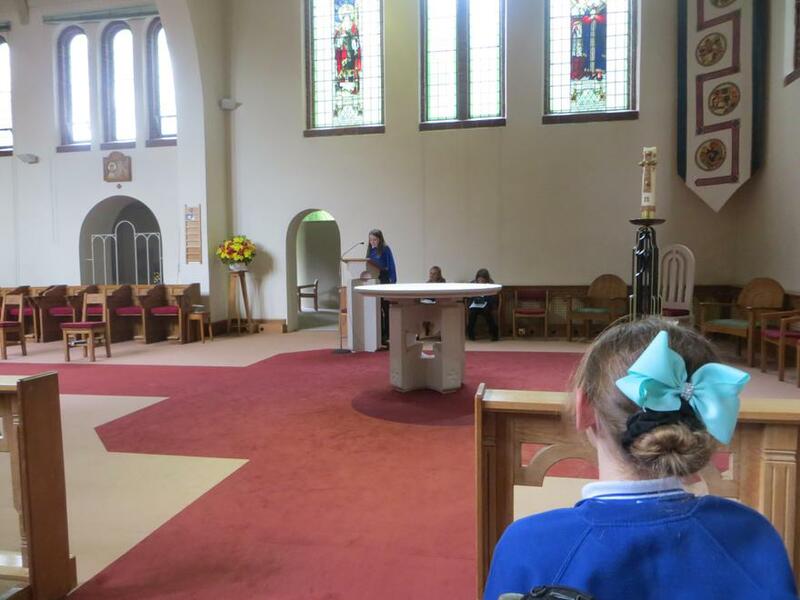 At our school we take great pride in the work we do linked to the church and look forward to opportunities to welcome representatives from other faiths to our school. 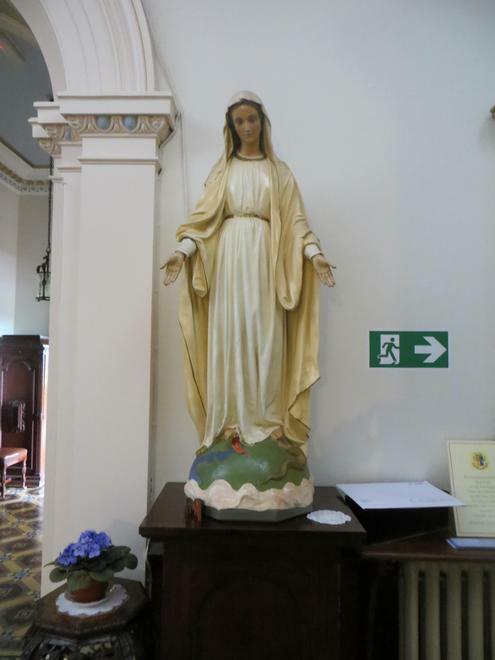 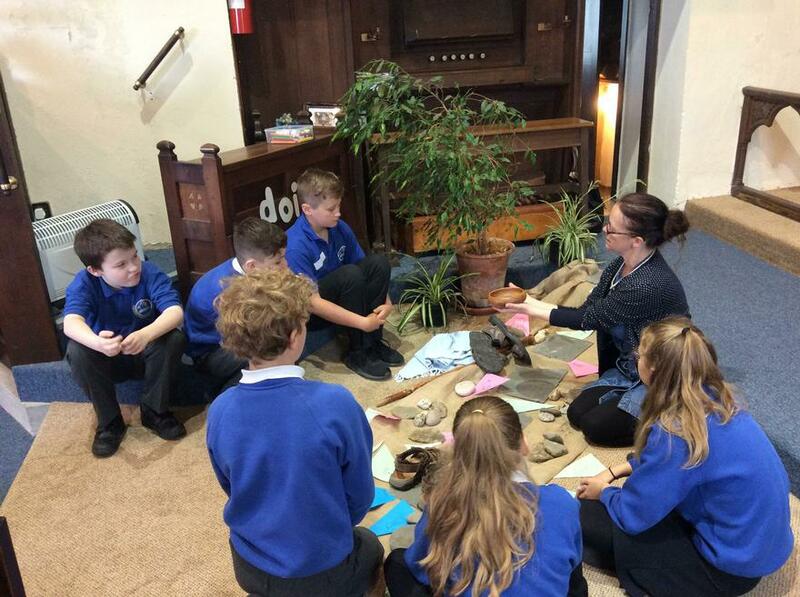 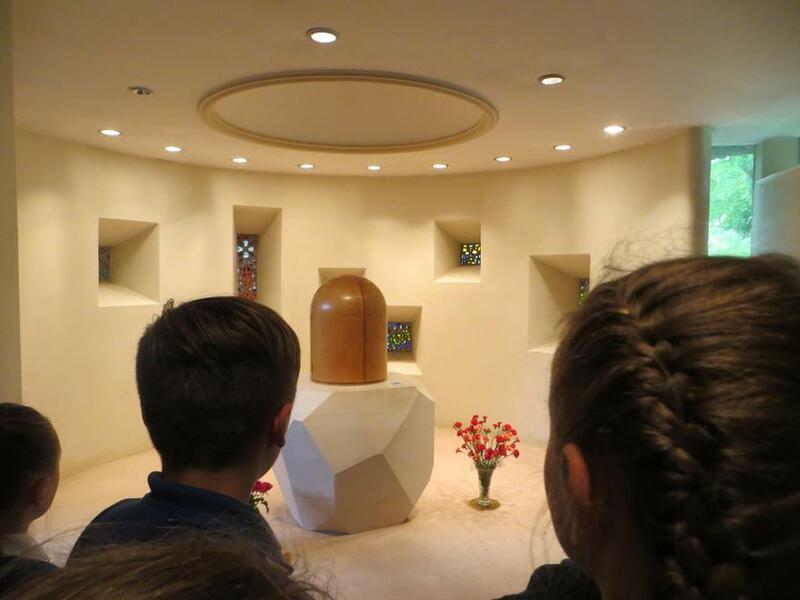 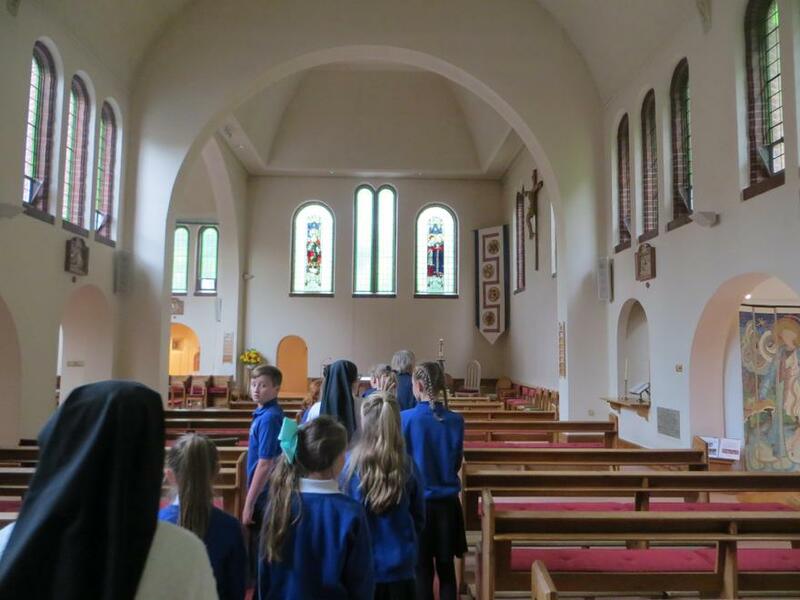 This year we have visited St. Philip's Church, Carlisle Cathedral, St. John's Church (St. John's in the Vale) and the convent at Boarbank and we hope to develop a link with a school in India to learn more about their beliefs and values. 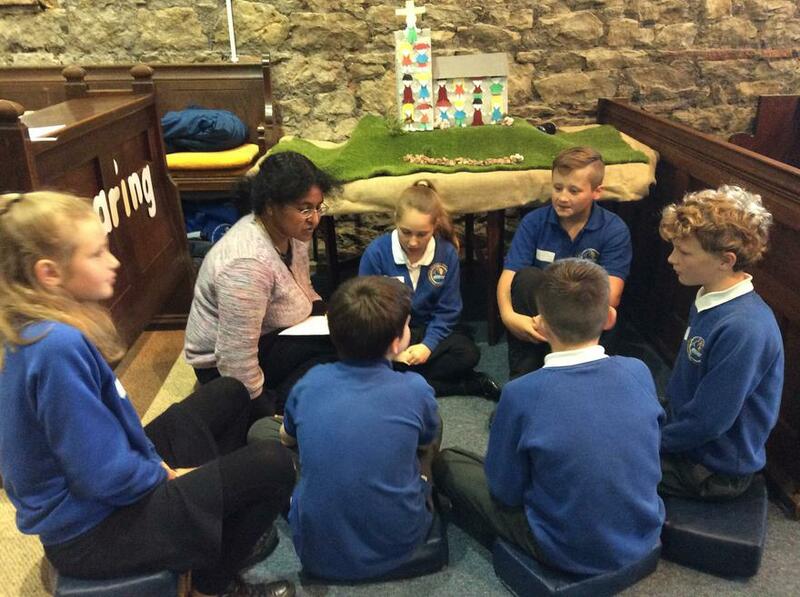 As well as our whole school and key stage Worship, we work in small groups planning and delivering worships to our peers. 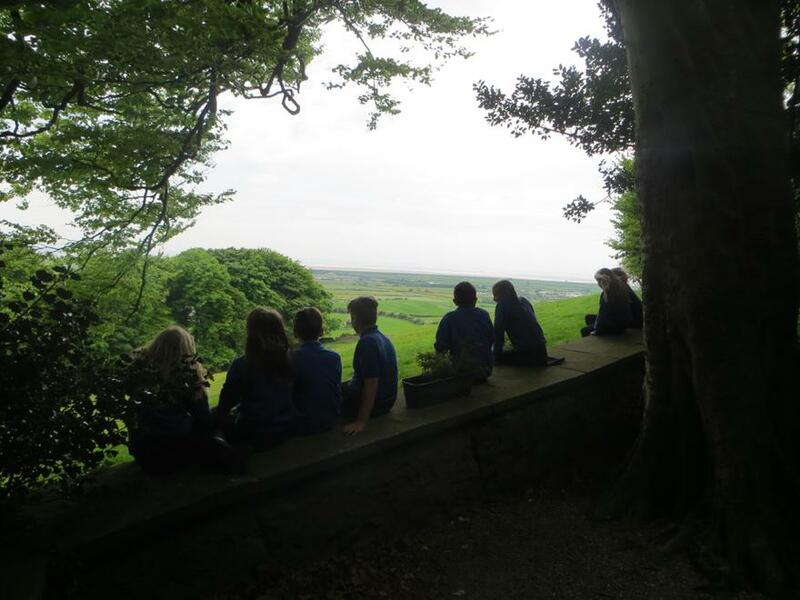 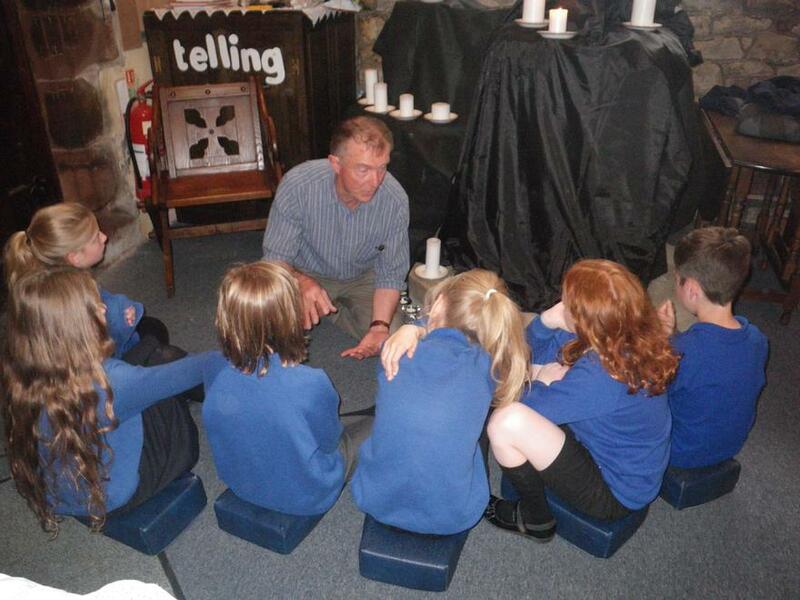 Around school we have a number of reflection spaces for the children to enjoy thinking and sitting quietly. 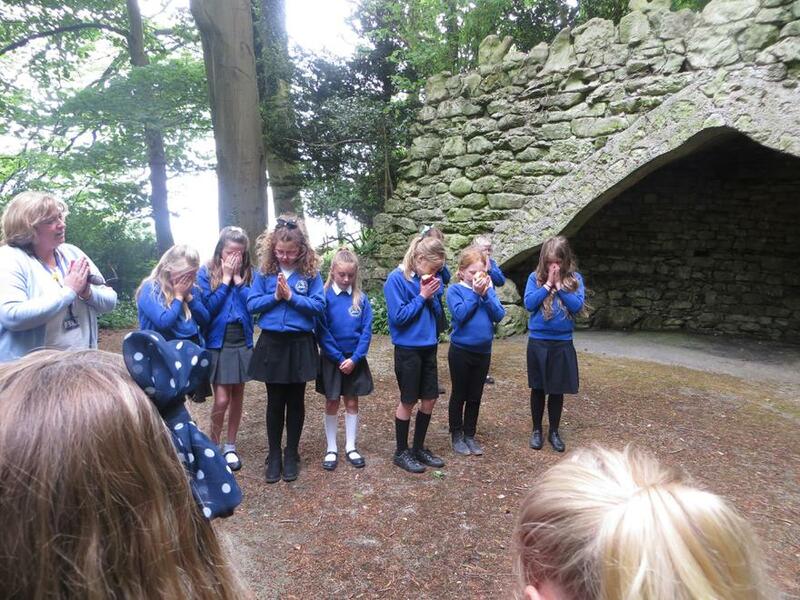 Year 2 said a special prayer at Whinlatter to appreciate the amazing landscapes and wildlife that we have here in Cumbria. 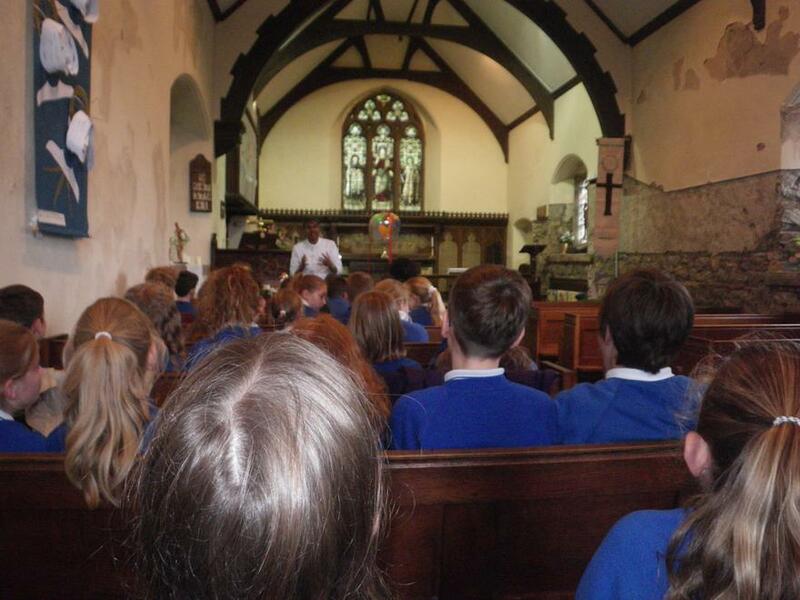 It was a lovely and calming experience. 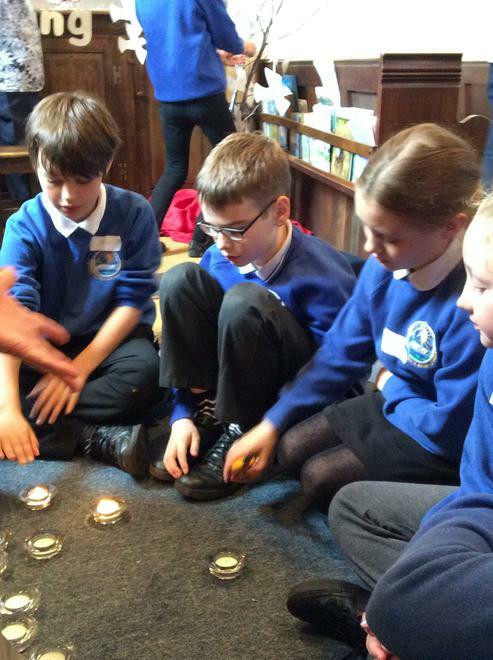 We have really enjoyed our RE Curriculum day. 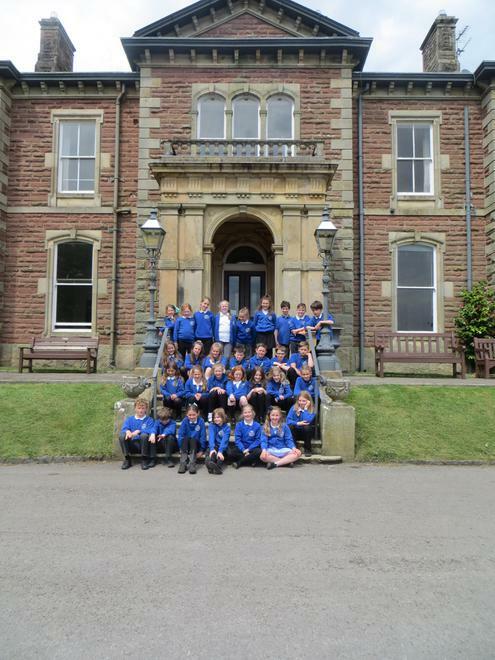 The classes were all mixed from Reception to Year 6 to take part in all the brilliant activities. 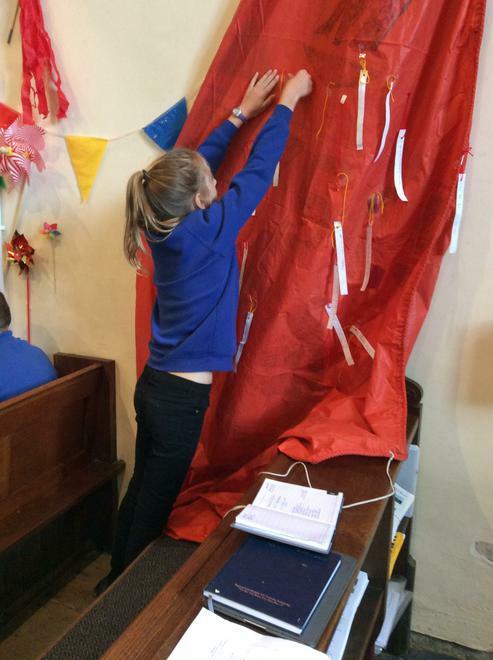 Children had the opportunity to make diva lamps, sing gospel songs, dance in the style of Bollywood and design a comic strip of Bible stories. 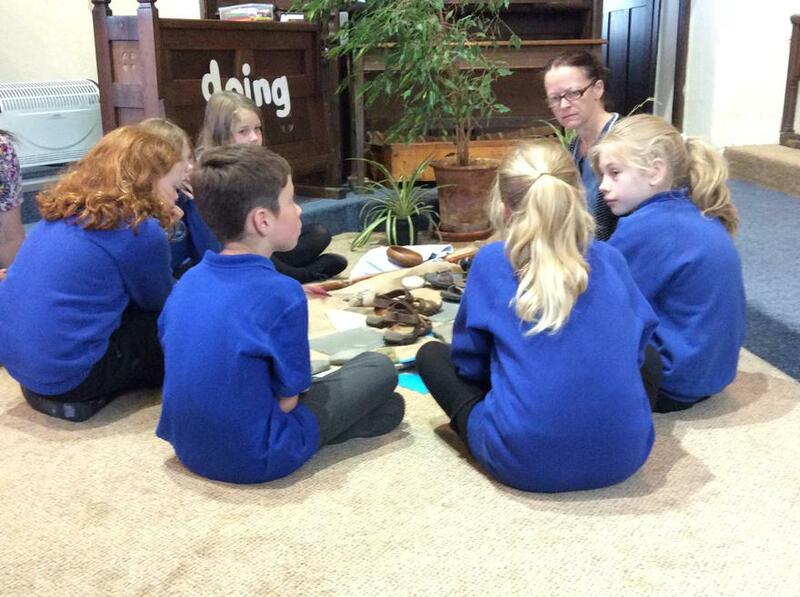 Elizabeth Chalker, Year 3, said "We want to make RE fun and practical and this has been amazing." 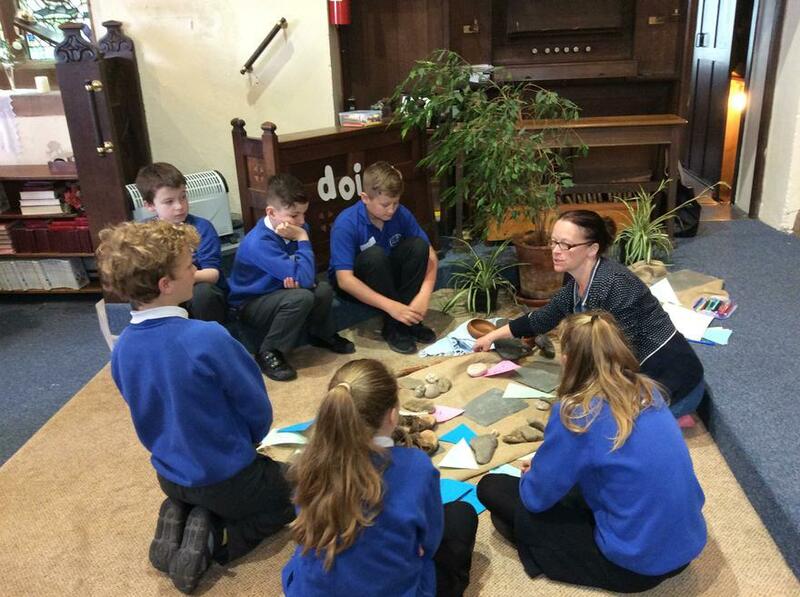 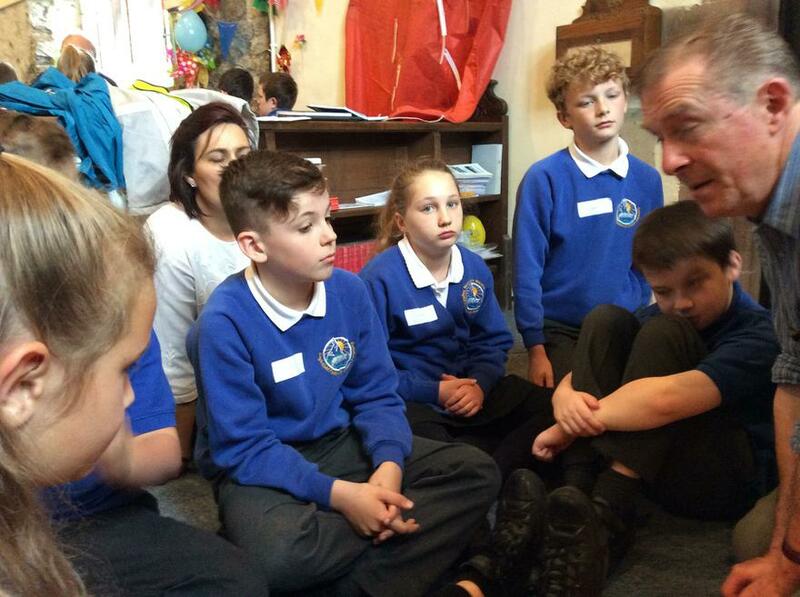 Will Searson, Reception, said "I loved this day, I have had a fun time doing my work, I hope we can do it again." 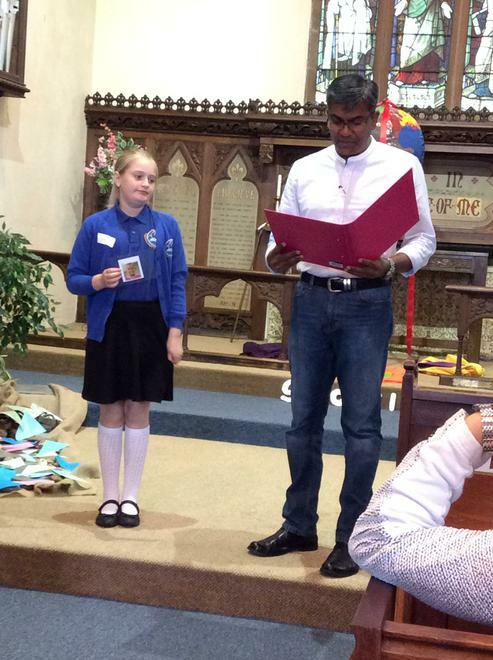 Issie Smith, Year 6, said "I understand the Bible stories much better now. 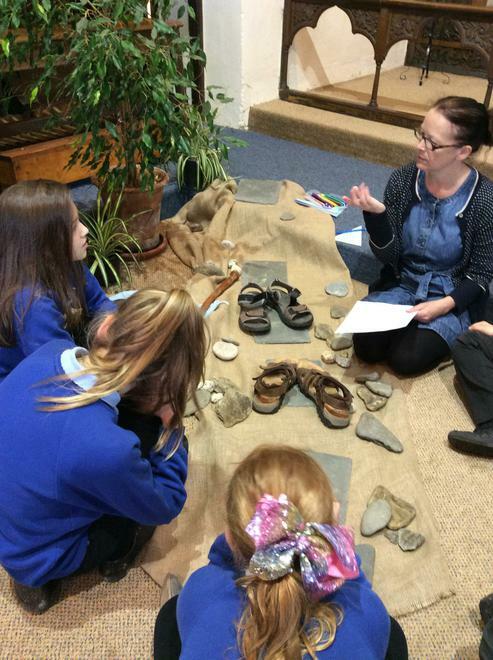 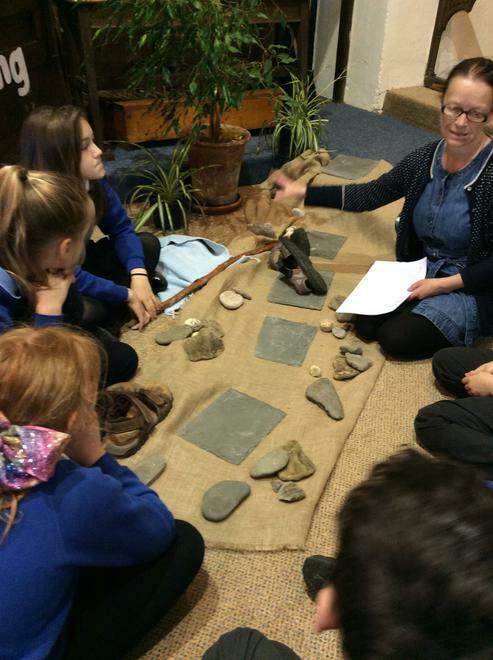 I have loved working with other children from other classes." 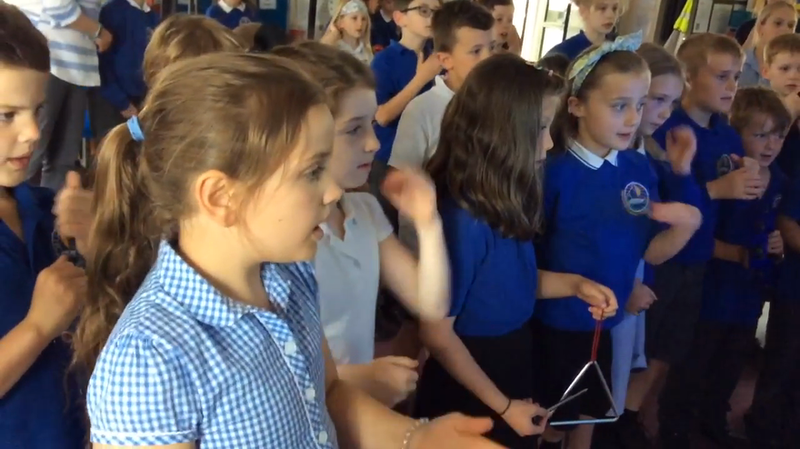 The children learned a medley comprising the well-known spiritual songs Swing low, sweet chariot, When the saints go marchin' in and I'm gonna sing. 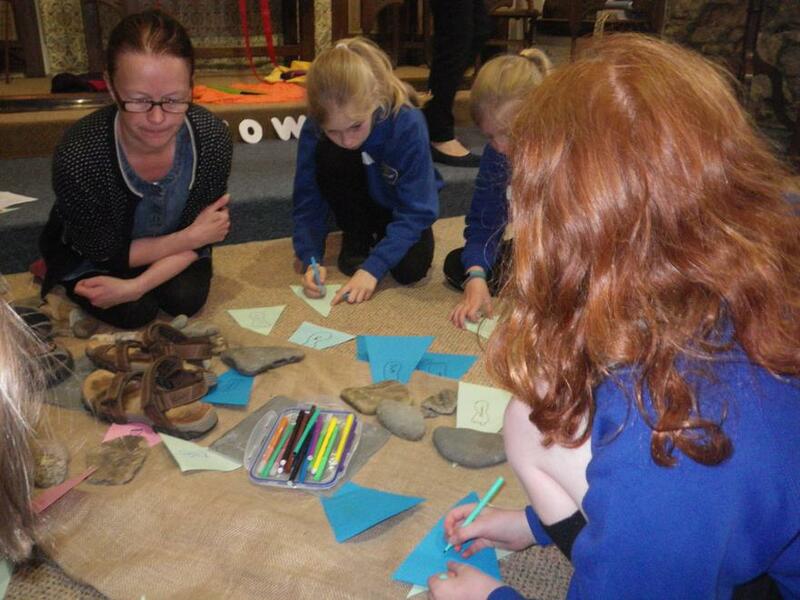 The children also created their own comic book strips to retell Bible stories and these will be made into a book. 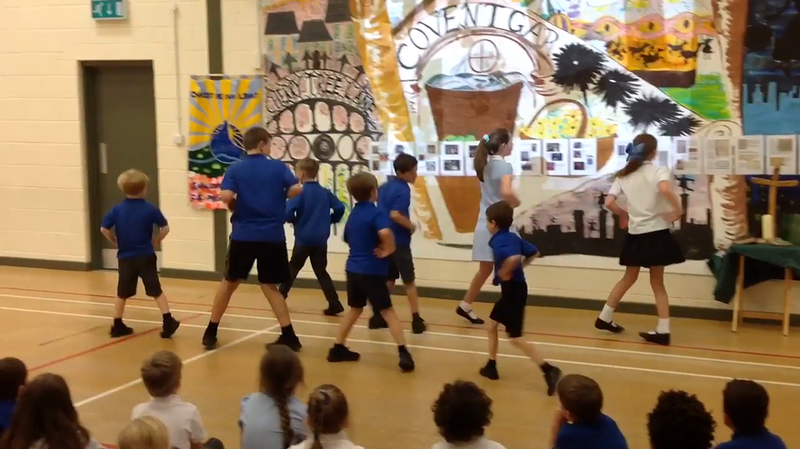 As part of our RE day celebrations we learnt about the Hindu culture and how they celebrate and worship God through dance. 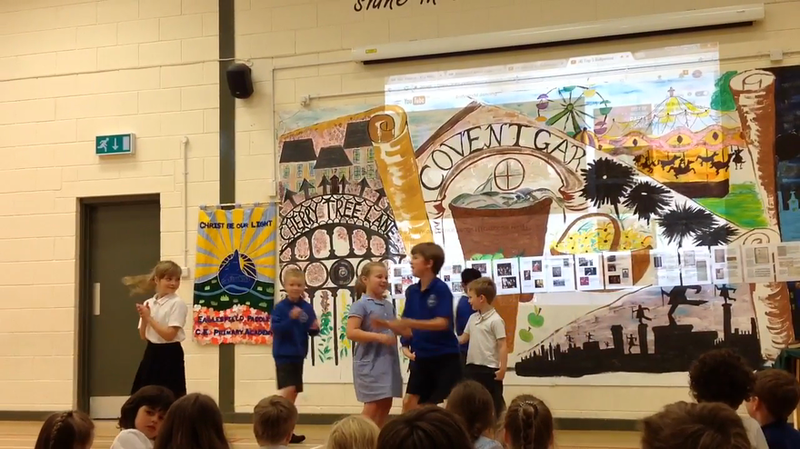 We learnt four different techniques and then choreographed our own dances! 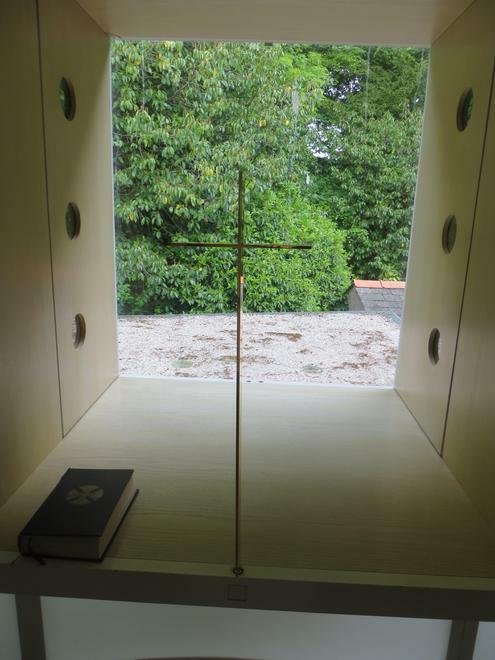 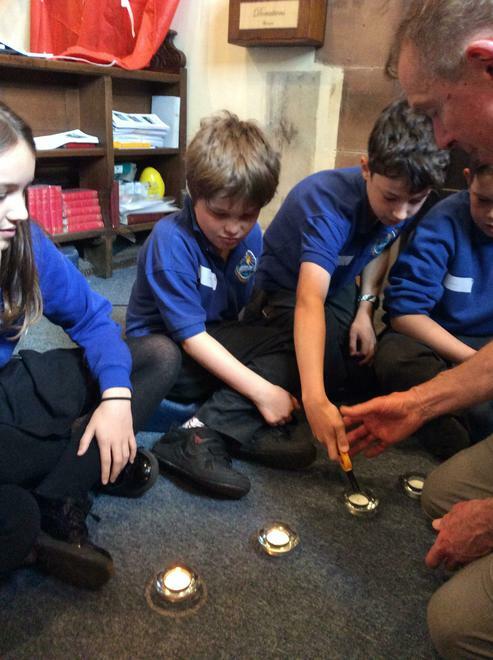 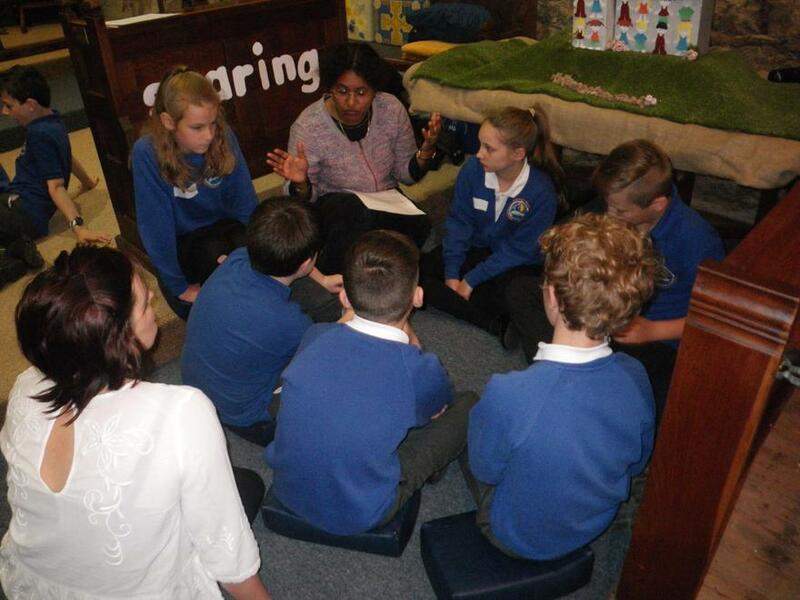 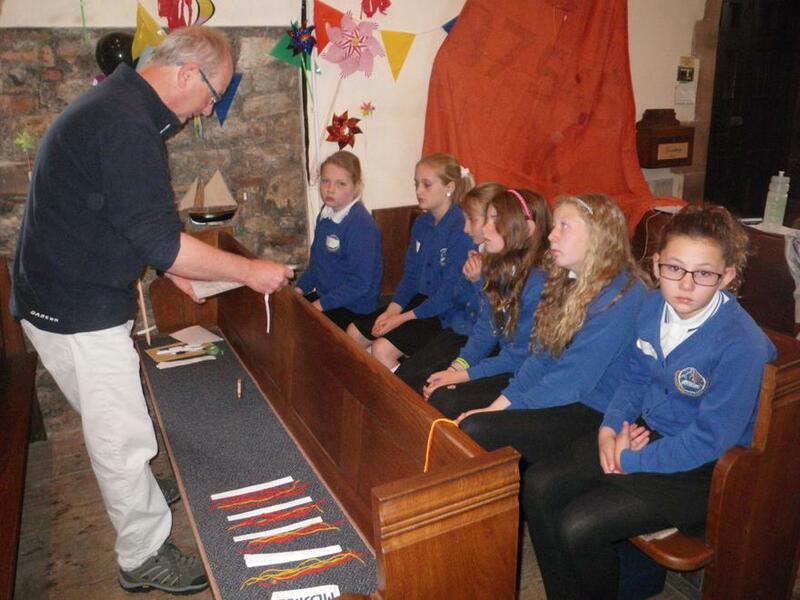 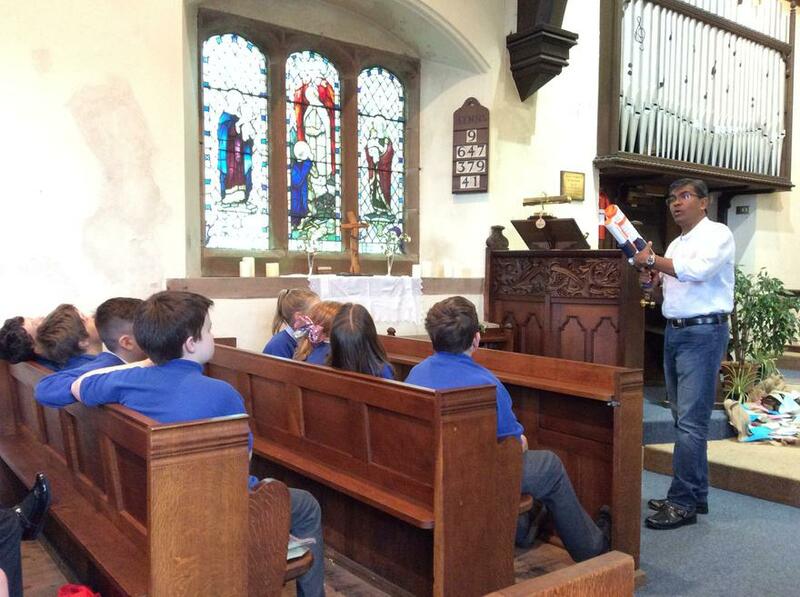 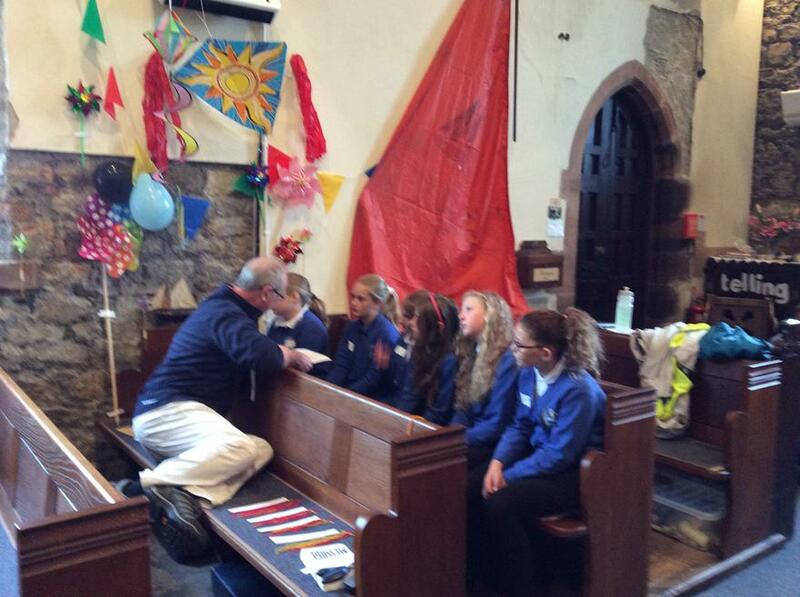 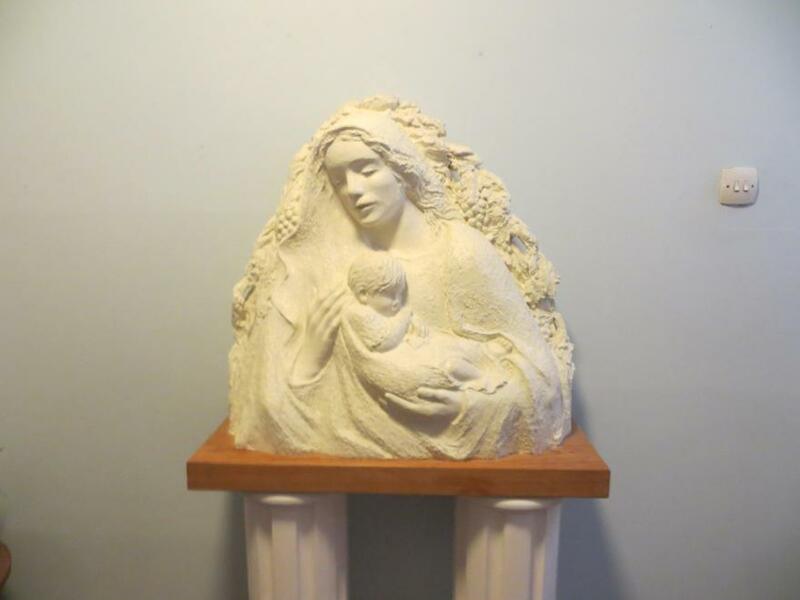 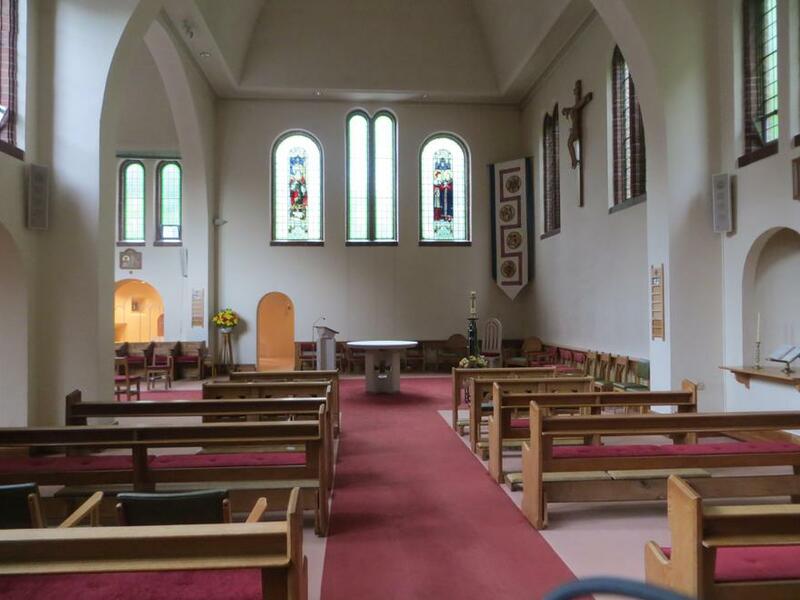 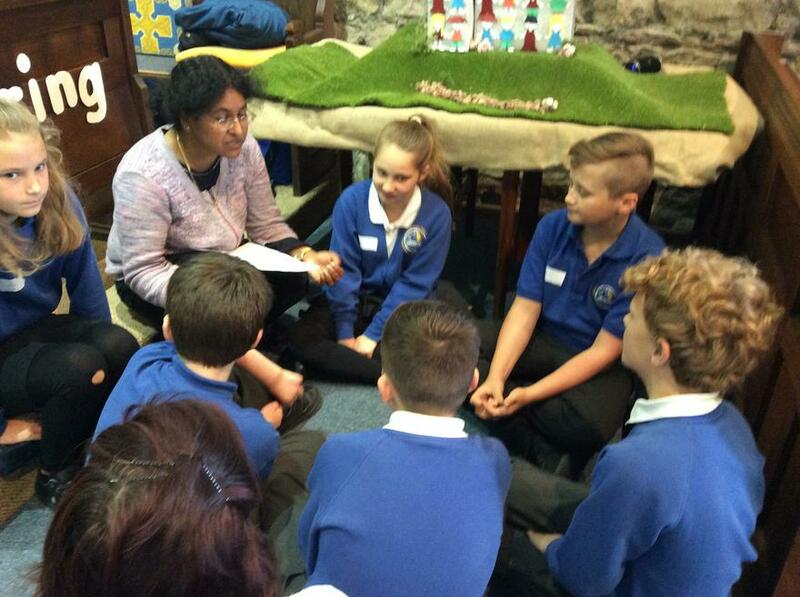 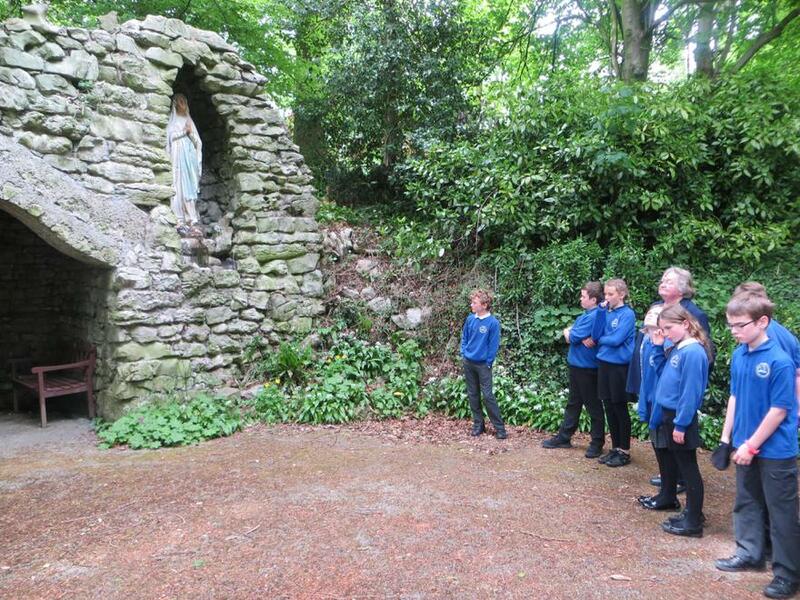 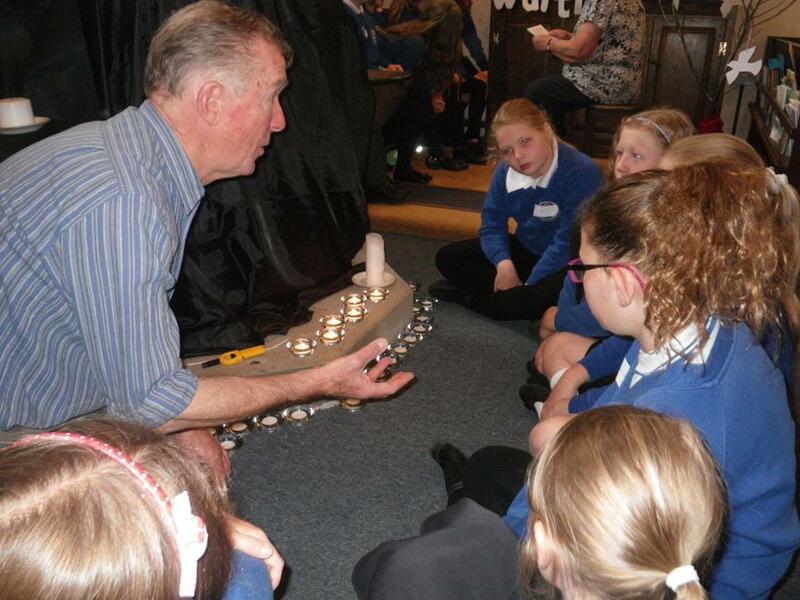 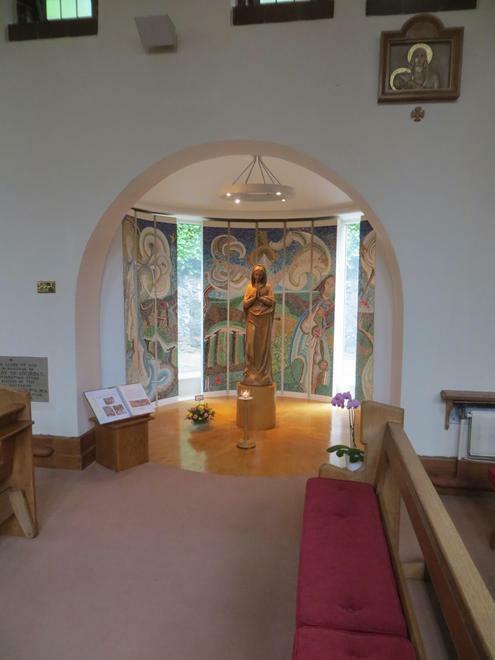 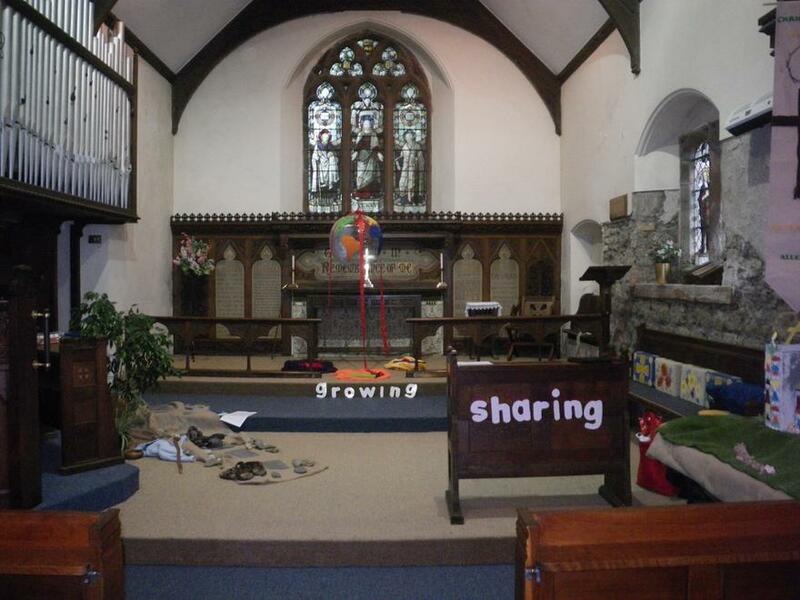 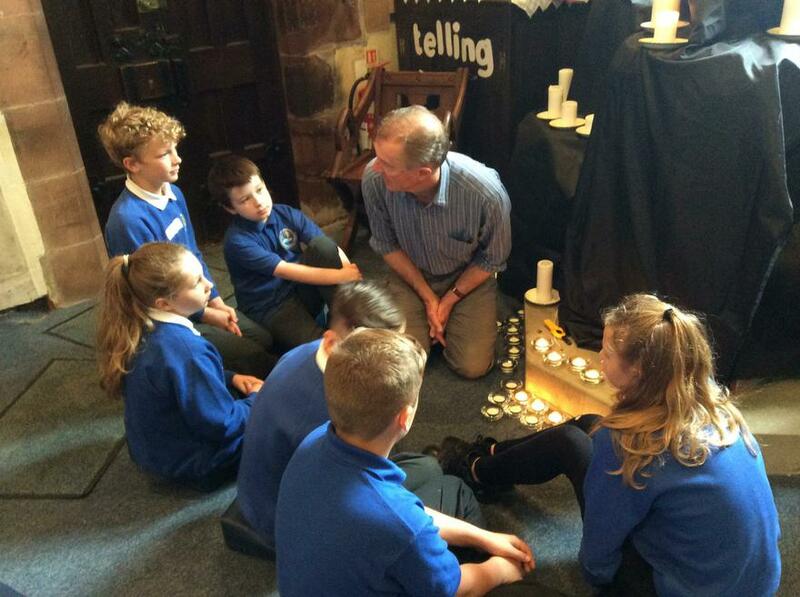 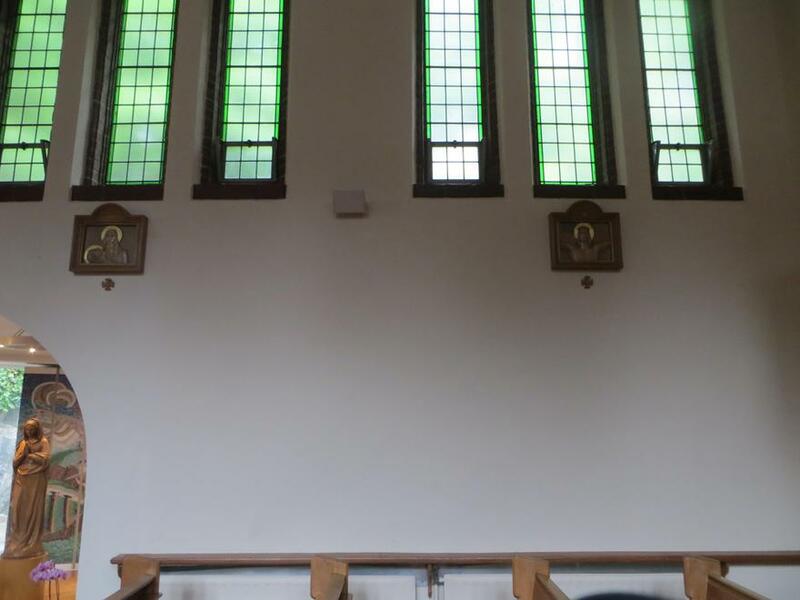 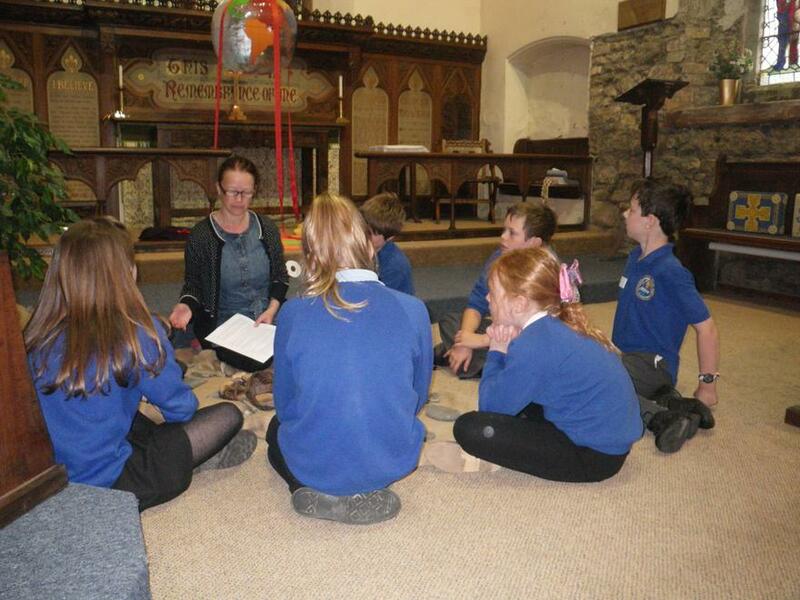 Click on the link to see Vasanthan leading prayers on the Year 4 residential in St. John's in the Vale. 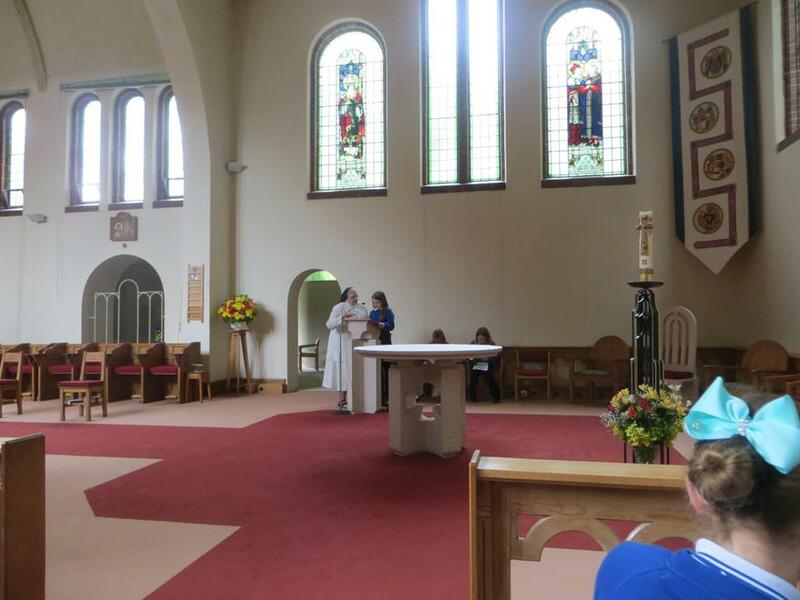 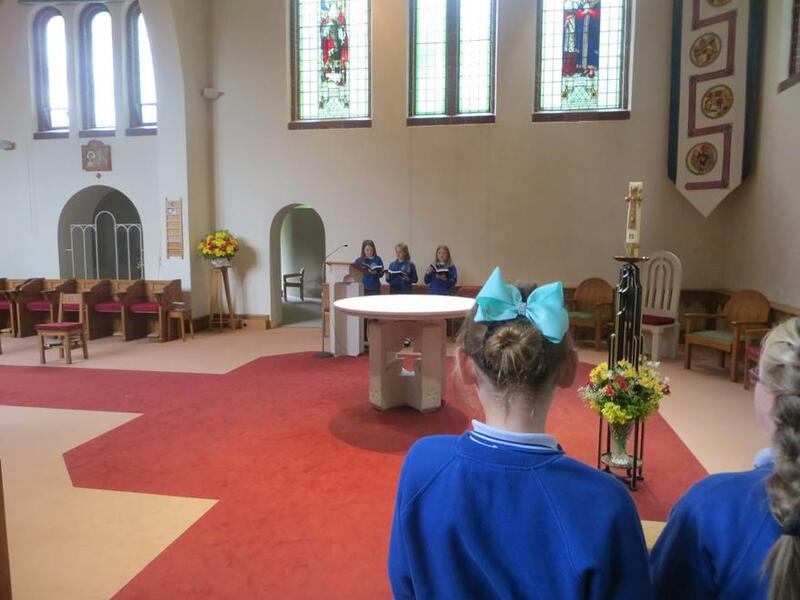 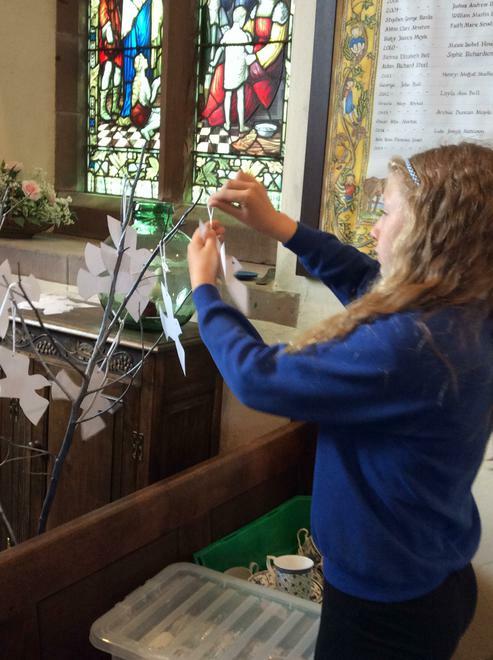 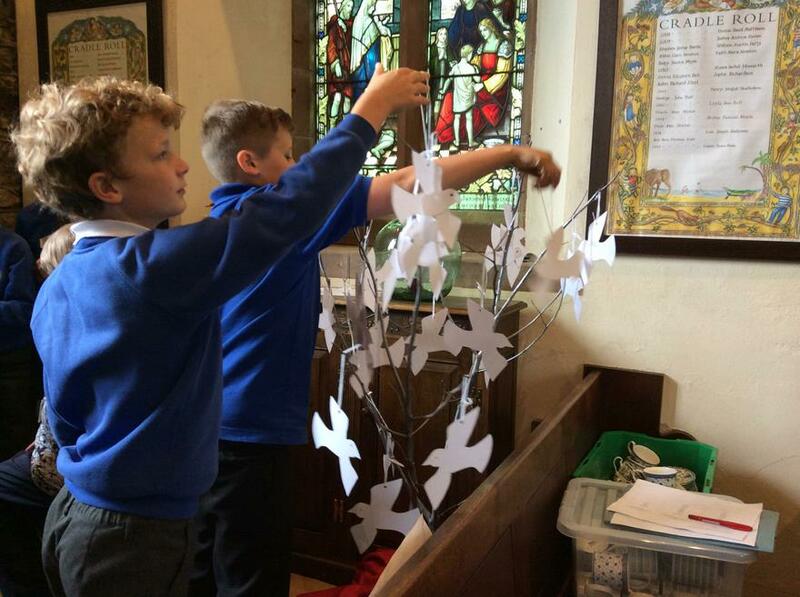 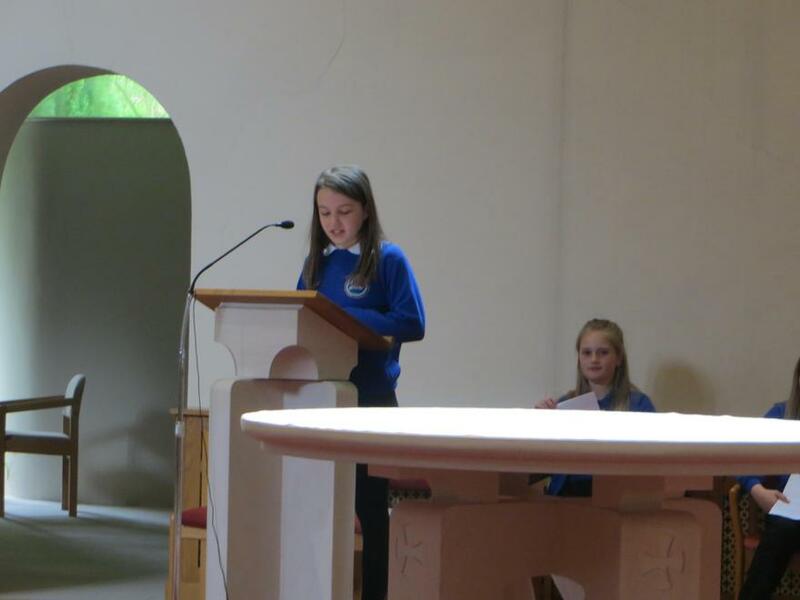 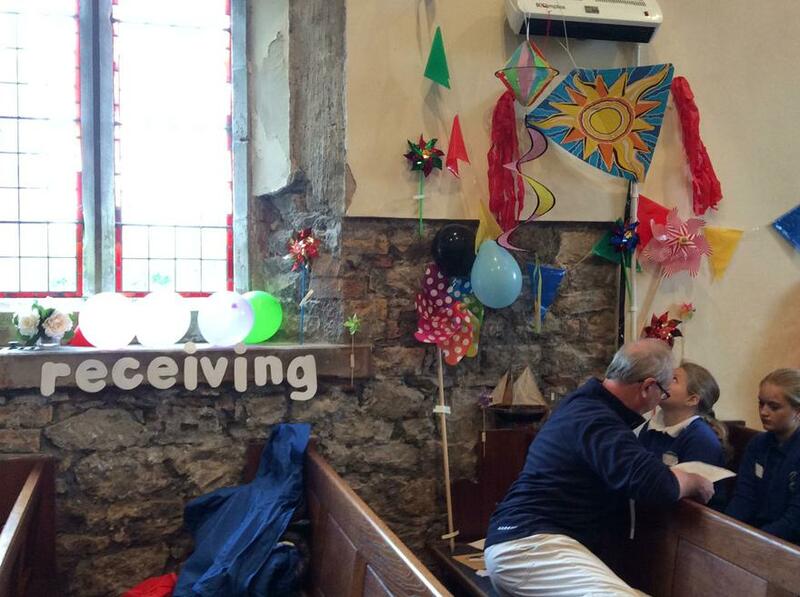 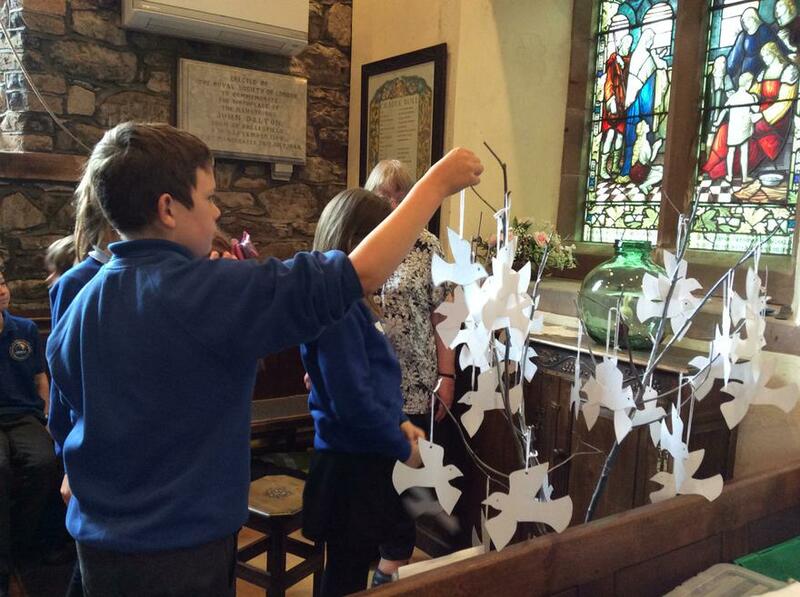 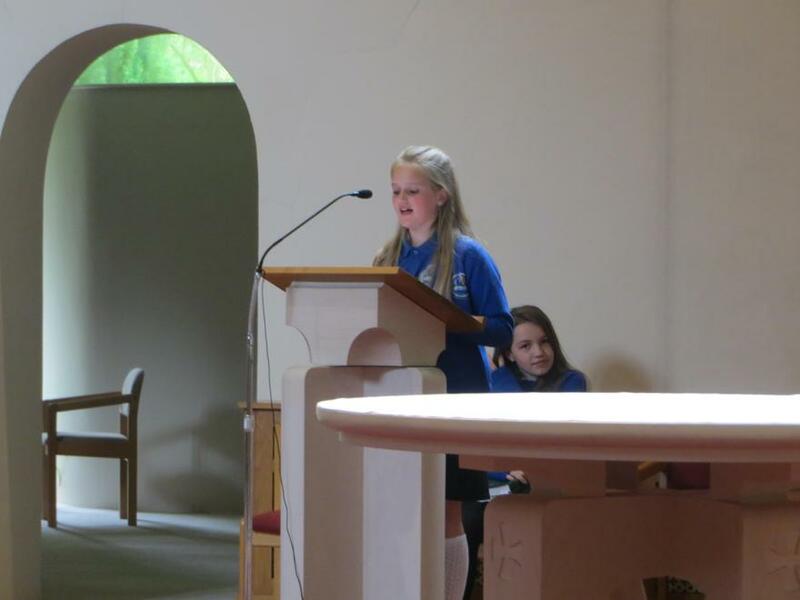 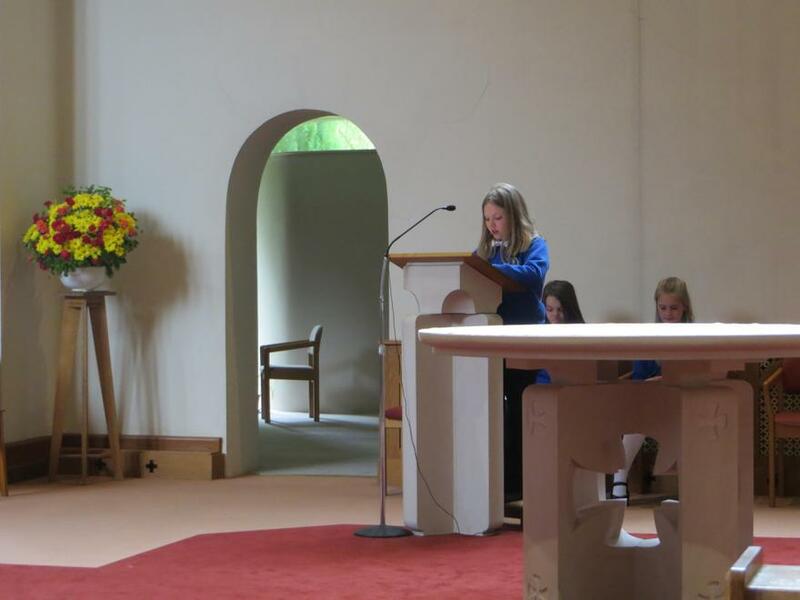 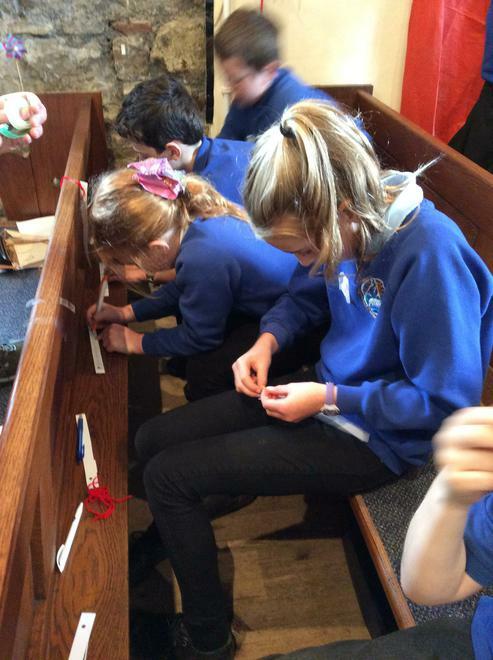 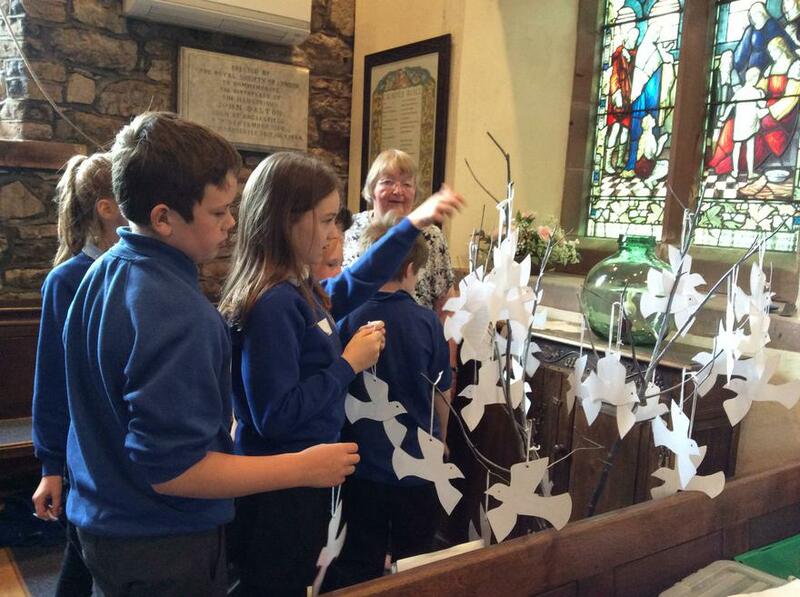 Click on the link to watch the children saying prayers of thanks in St. John's Church for such a wonderful time on residential. 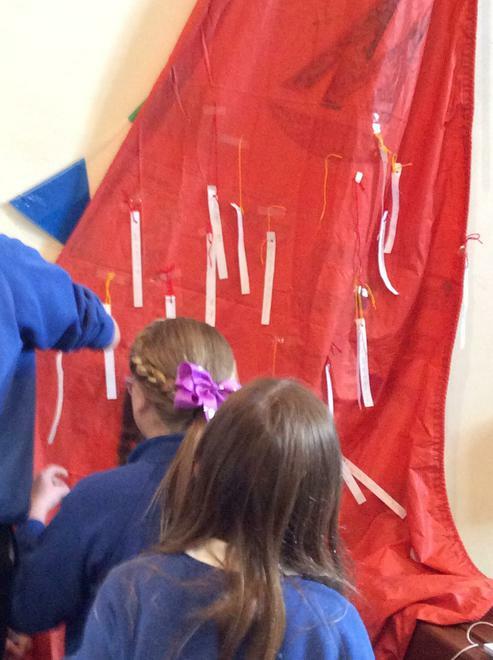 Learning about the Liturgical Colours. 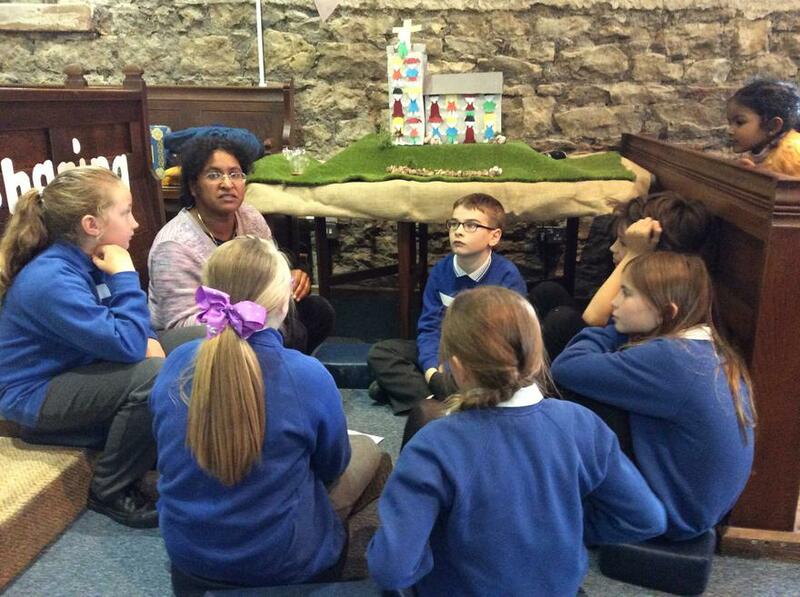 The children enjoyed listening to Mrs. Shaw talk about the liturgical calendar and what each colour in the calendar represents. 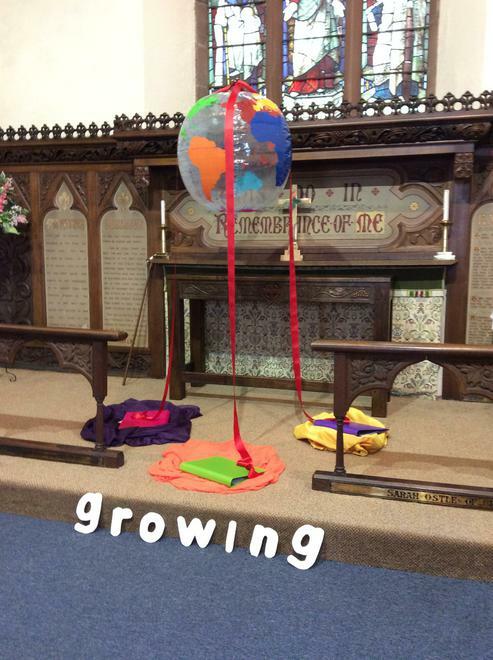 Experience Pentecost at St. Philip's Church. 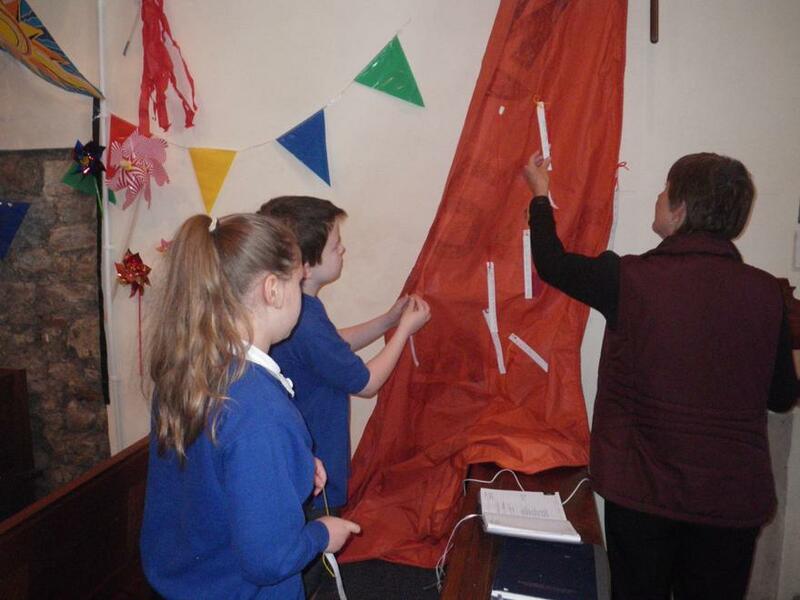 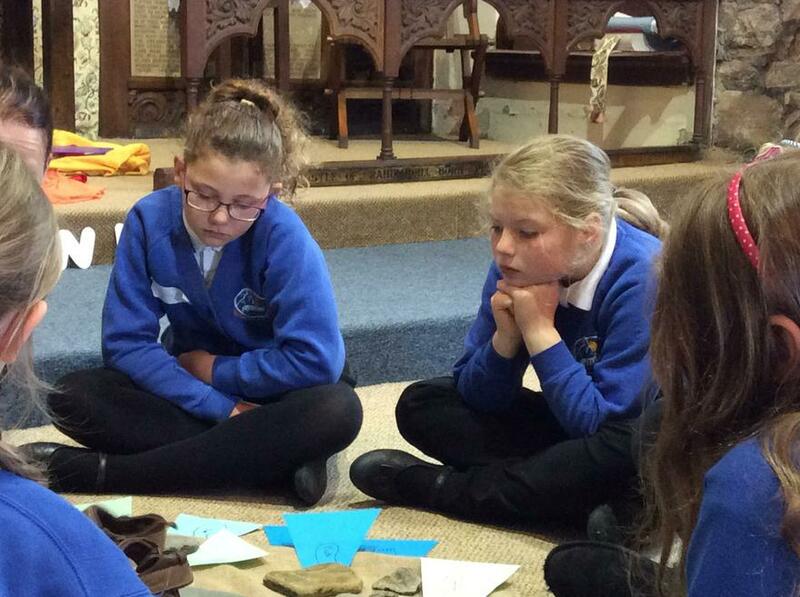 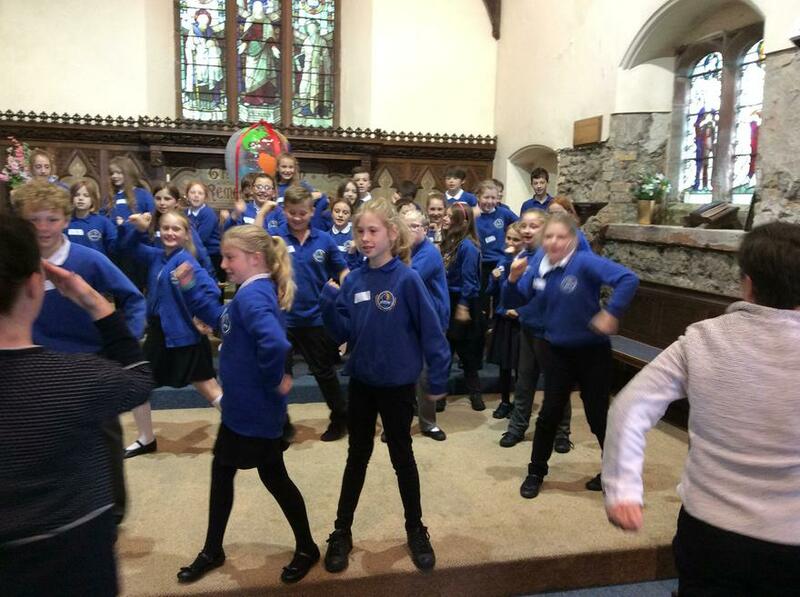 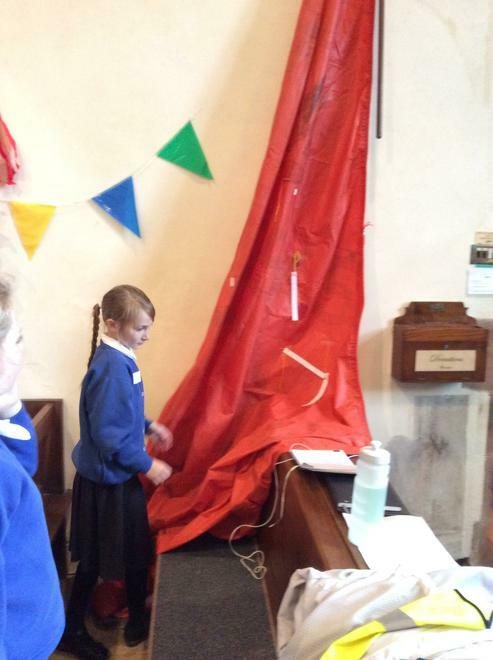 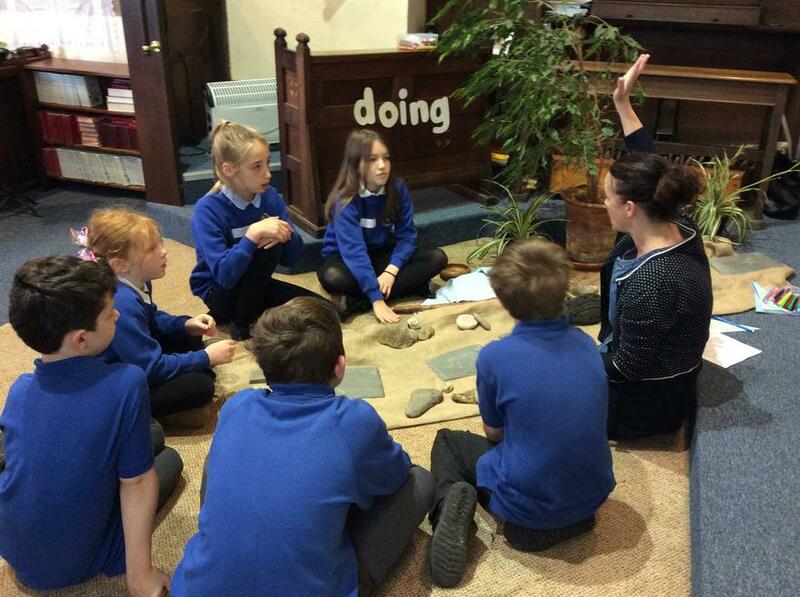 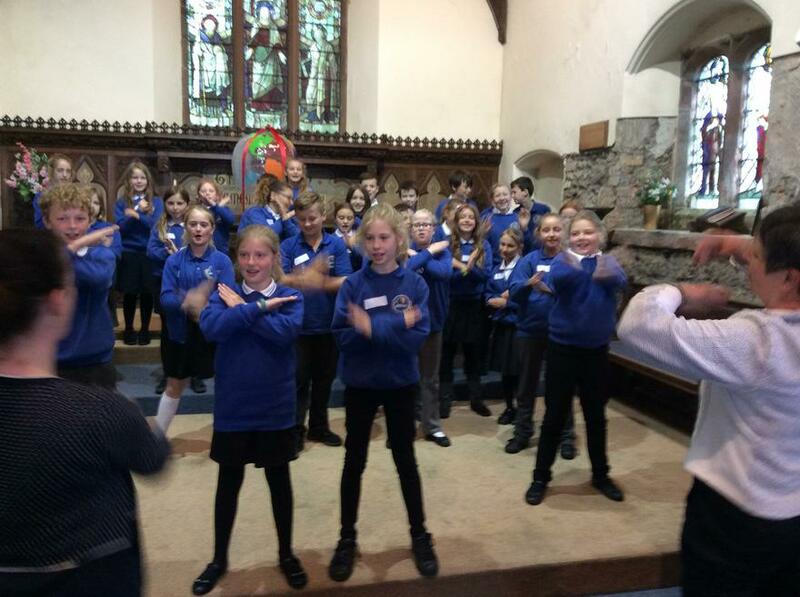 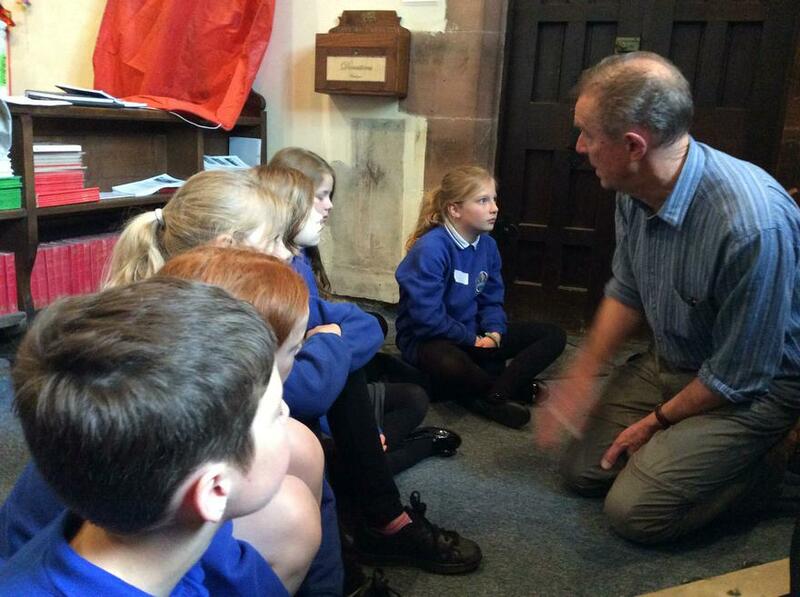 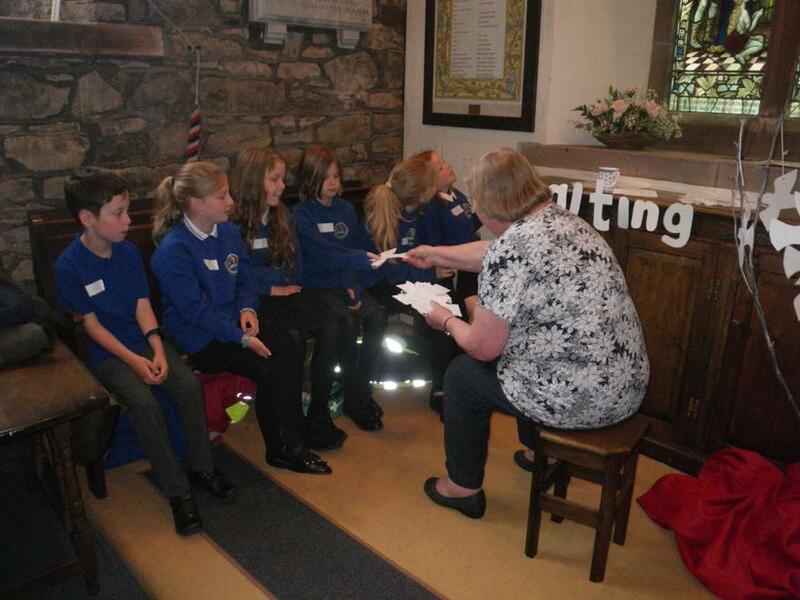 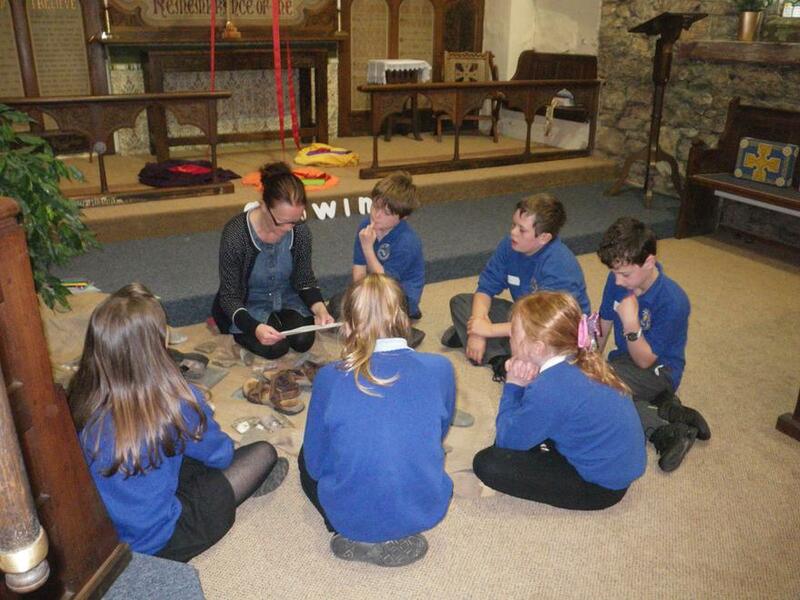 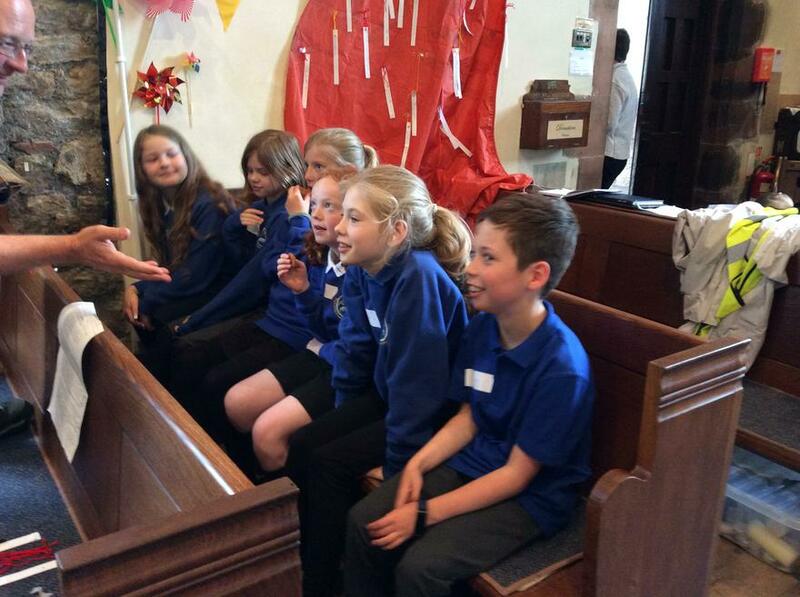 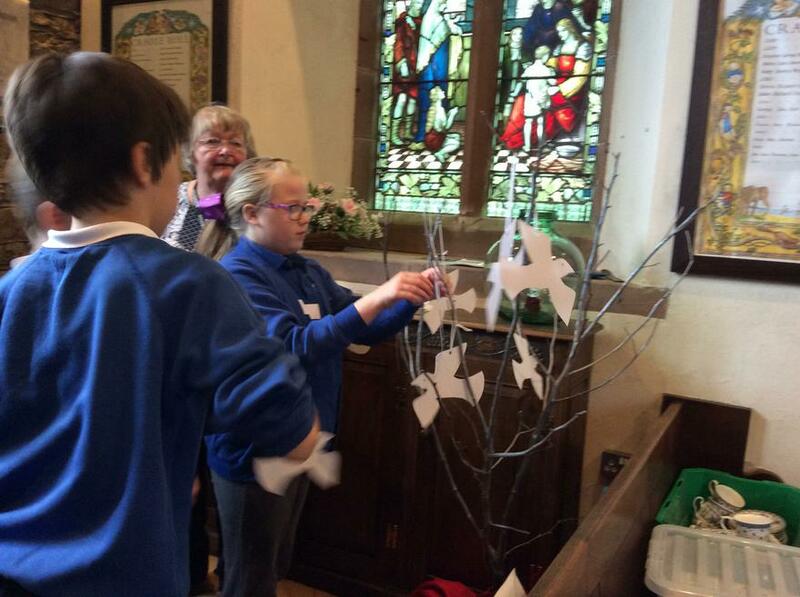 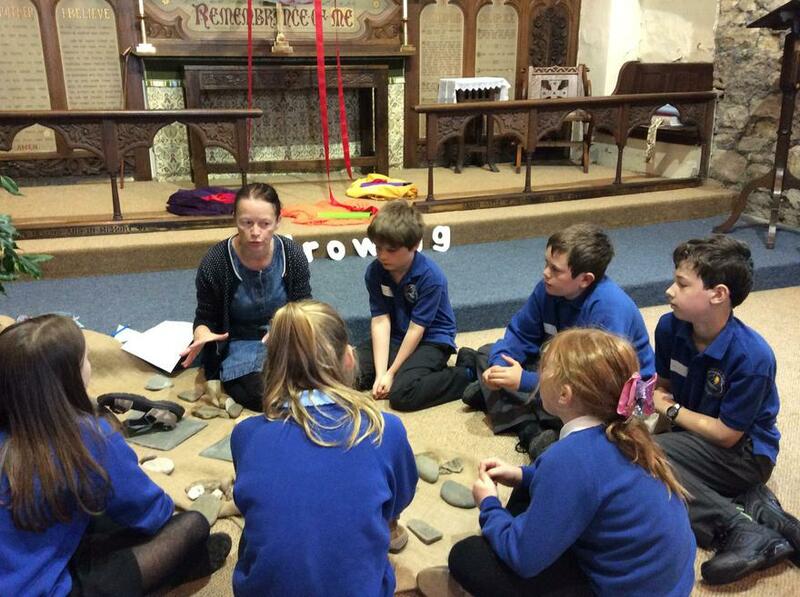 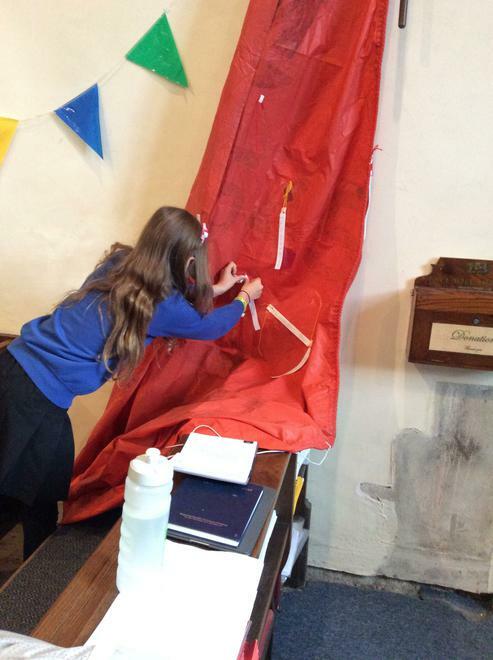 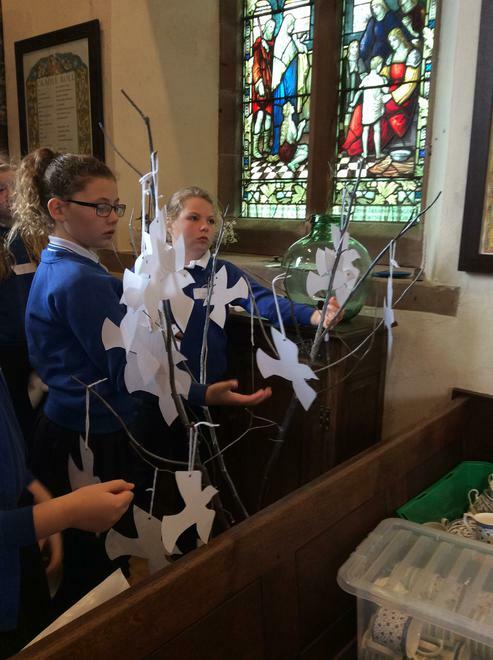 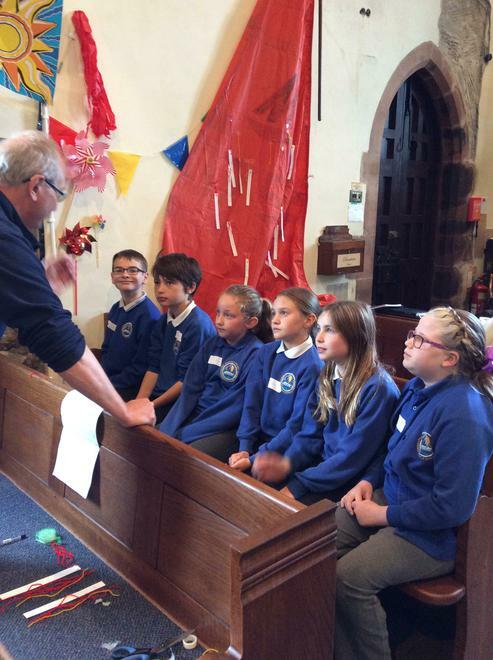 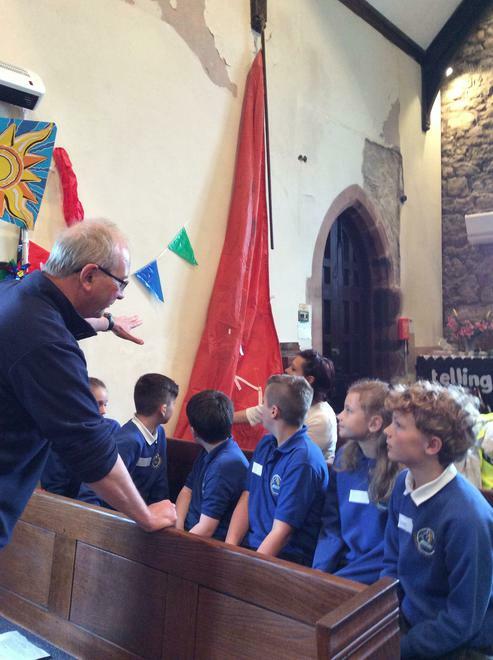 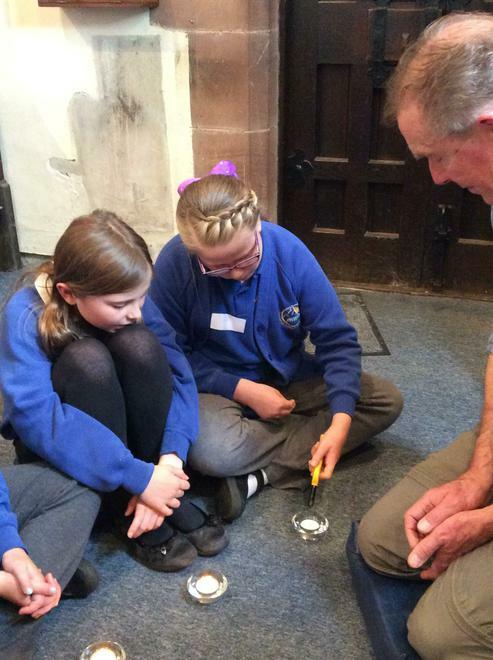 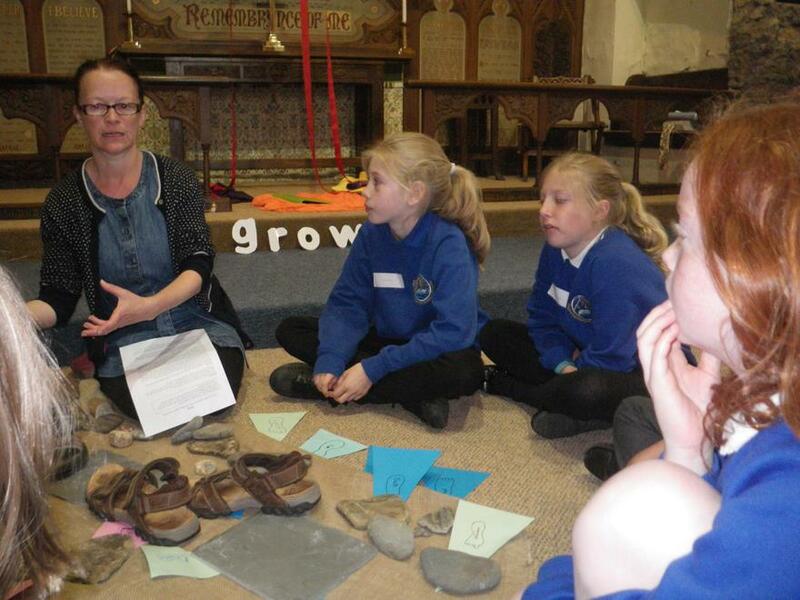 This morning the children were given the opportunity to attend the Experience Pentecost Workshop held at St.Philip’s Church and develop their understanding of Pentecost. 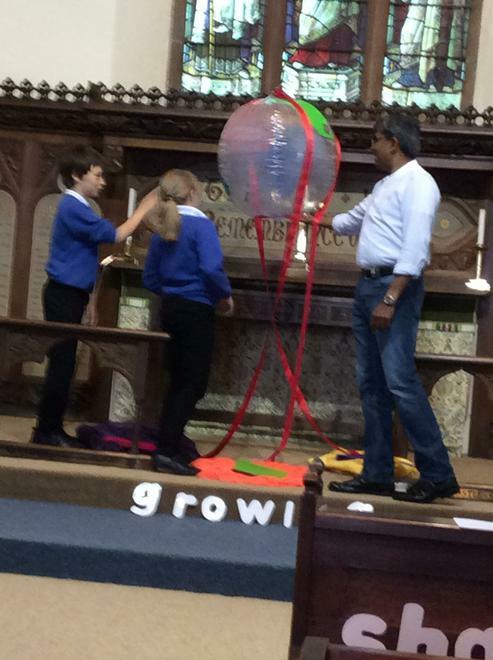 We would like to thank Mrs. Shaw for organising such a wonderful morning - the children really enjoyed working with the Reverend Sudharshan and his team. 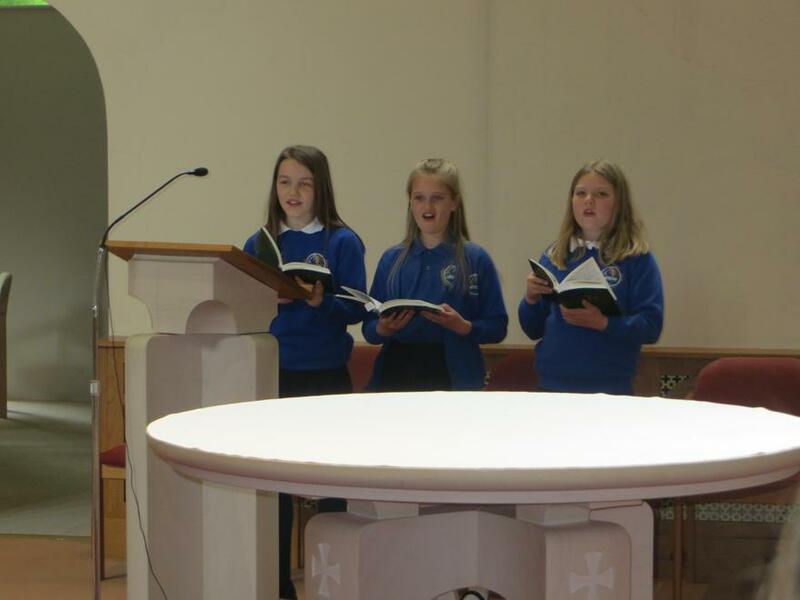 The children were given the opportunity to perform 'My God is so big and so mighty'. 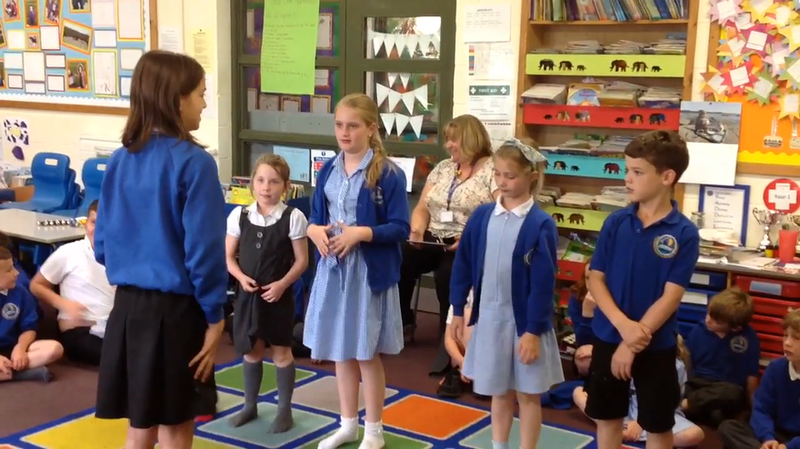 Click the link to see the children in action. 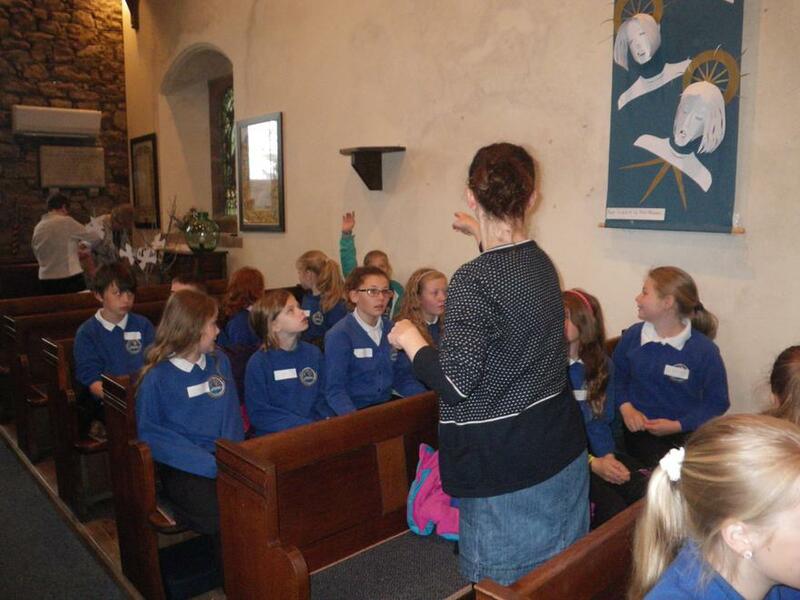 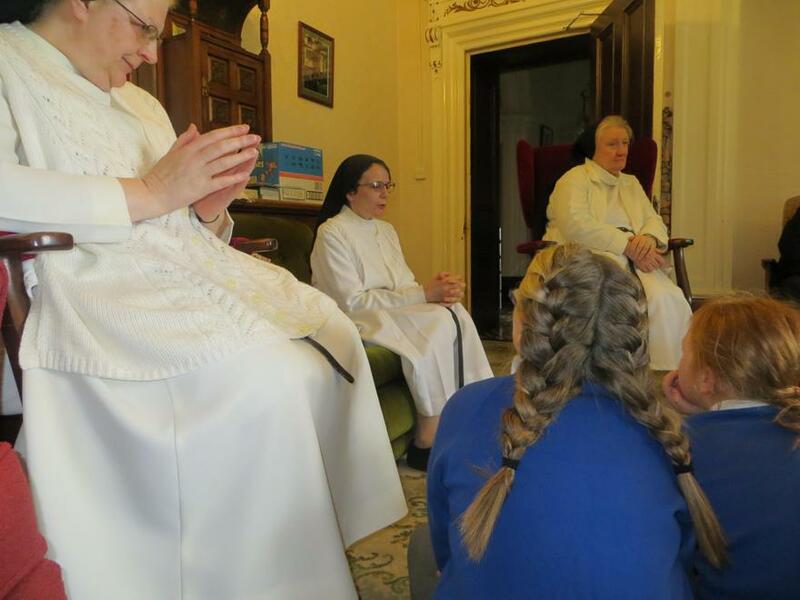 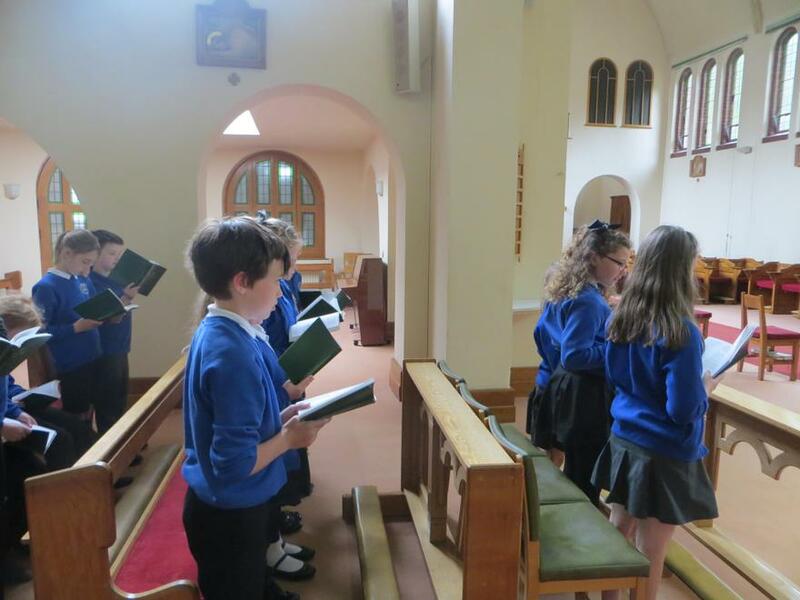 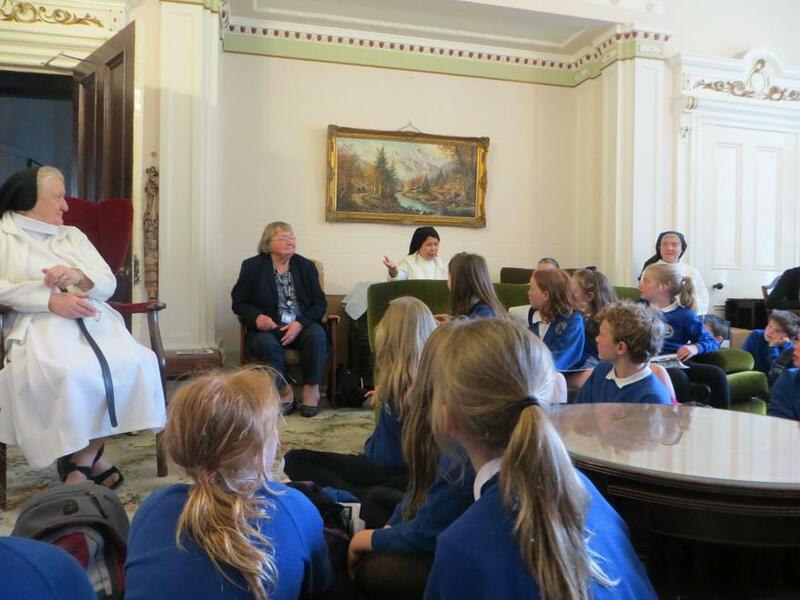 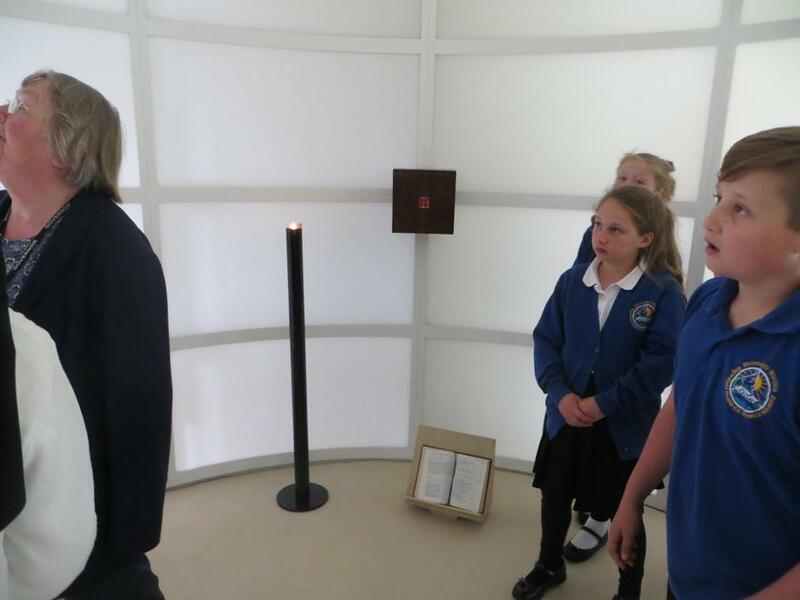 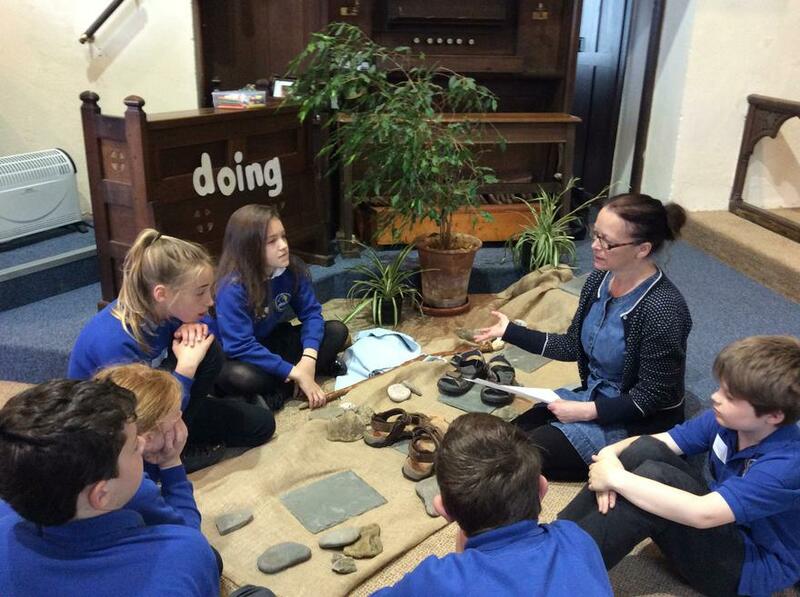 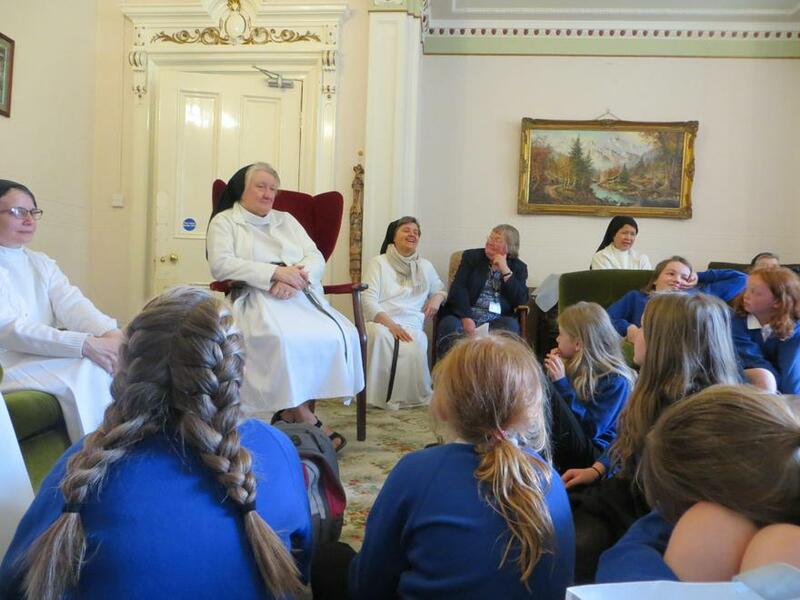 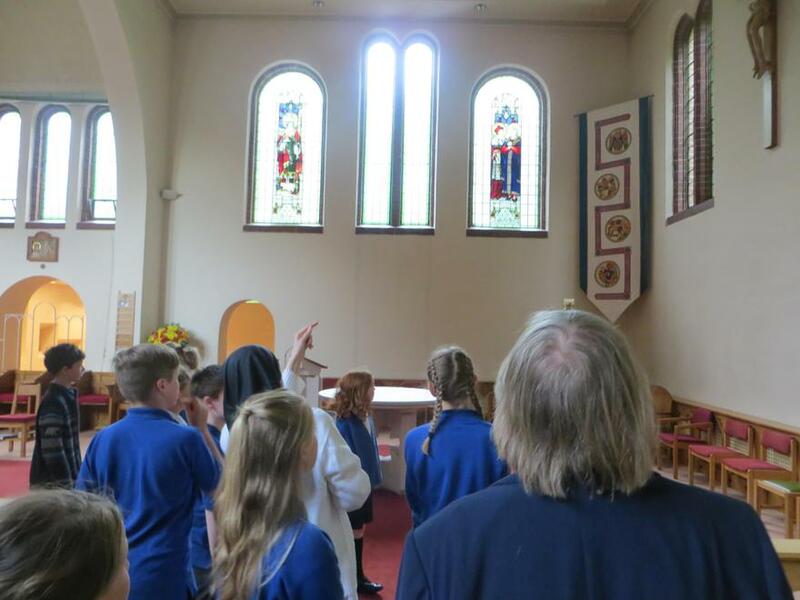 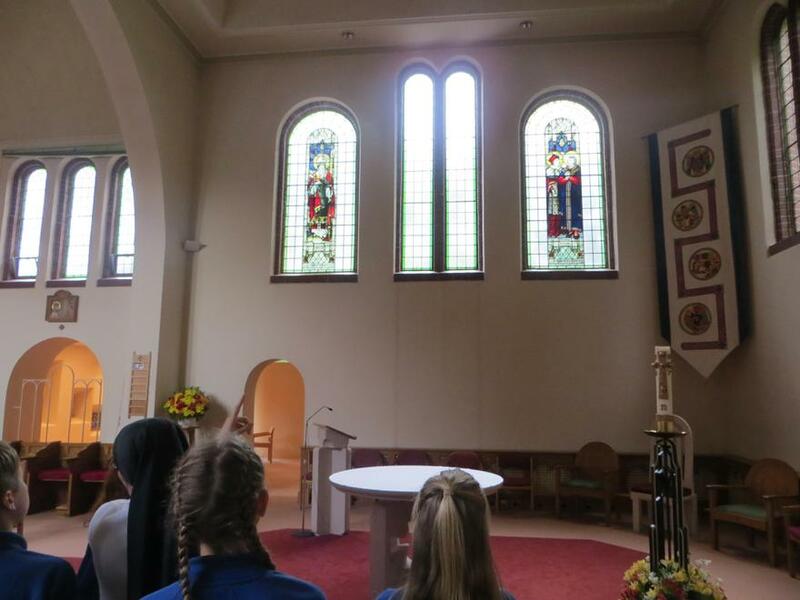 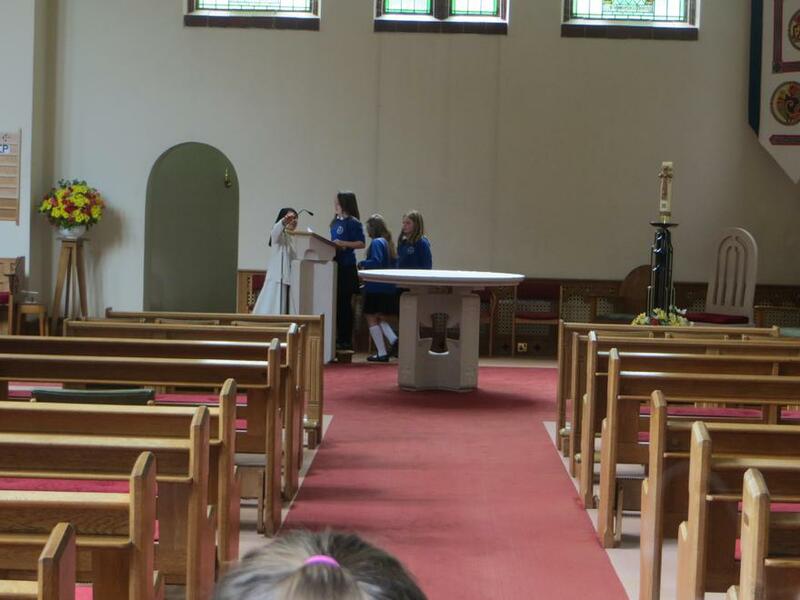 The Year 5 children visited the convent at Boarbank to learn about the lives of the sisters who live there and to explore the question: How do Christians show their commitment to God?